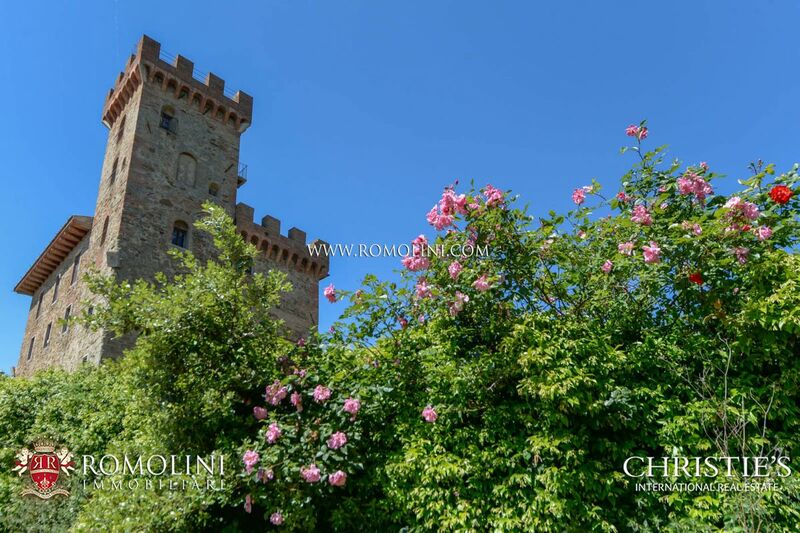 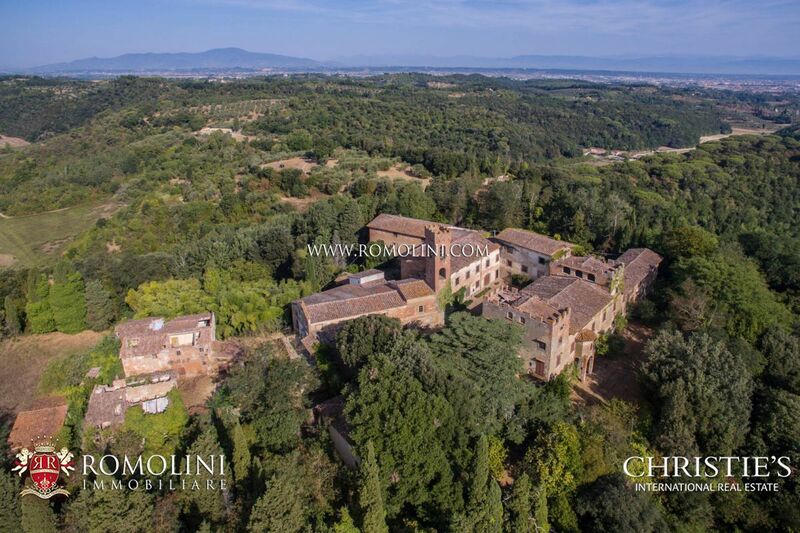 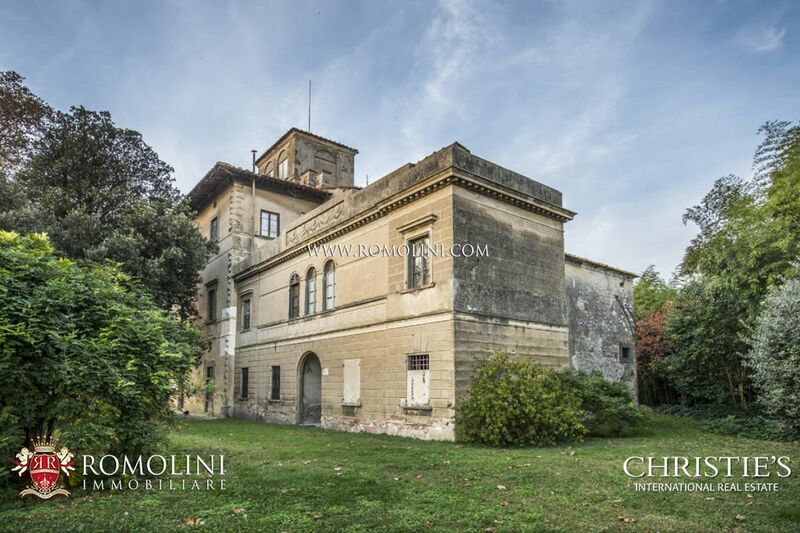 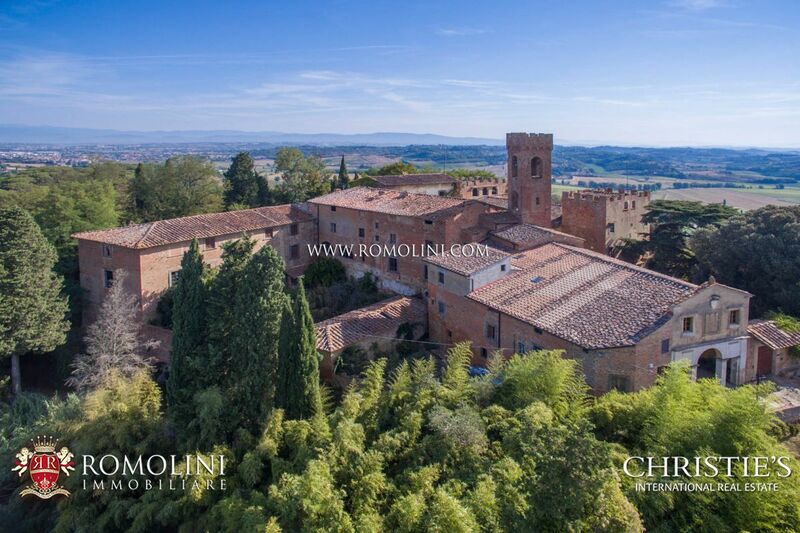 If you want to buy a farmhouse, a historic residence or a luxury villa, our agency specializes in the sale of prestigious properties in the province of Pisa, especially in the renowned towns of Casciana Terme, Cascina, Pontedera, San Miniato and Volterra. 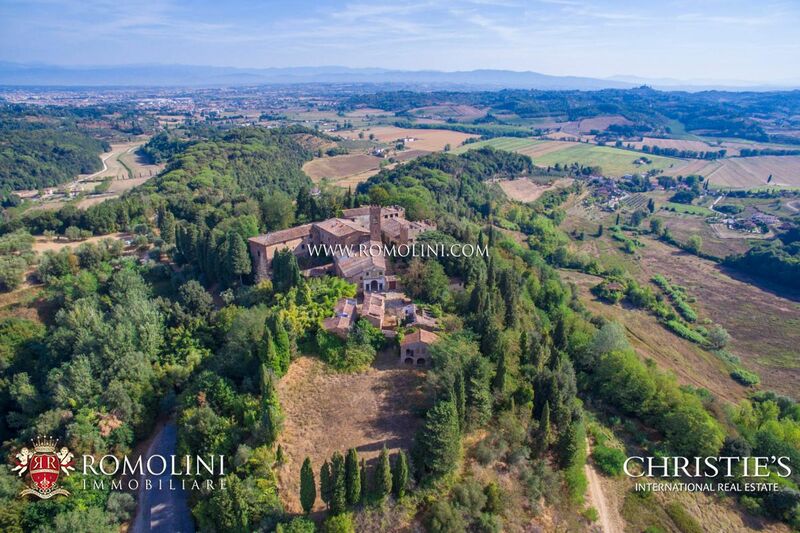 We also offer farms and wineries in the hills of Pisa or farms for those who want to start their business and invest in Tuscany. 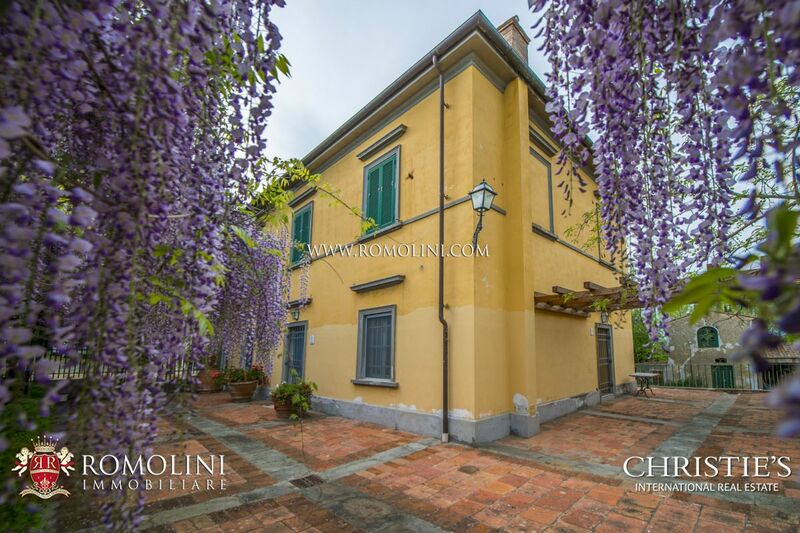 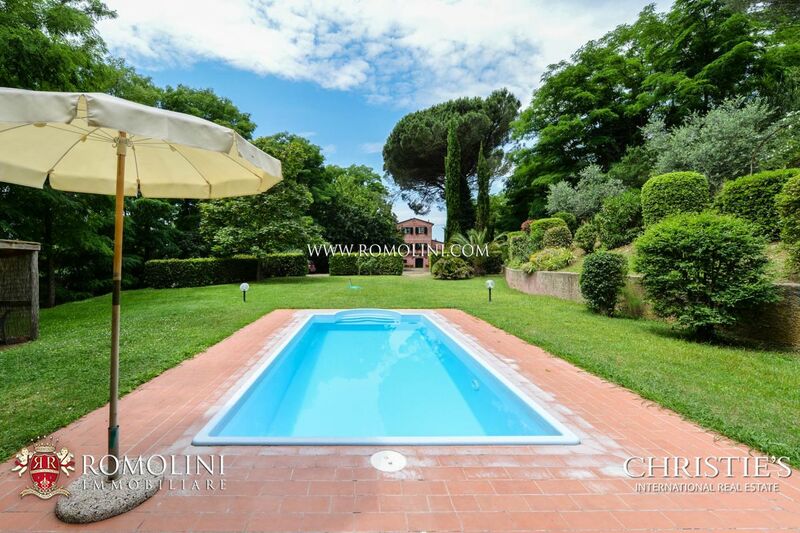 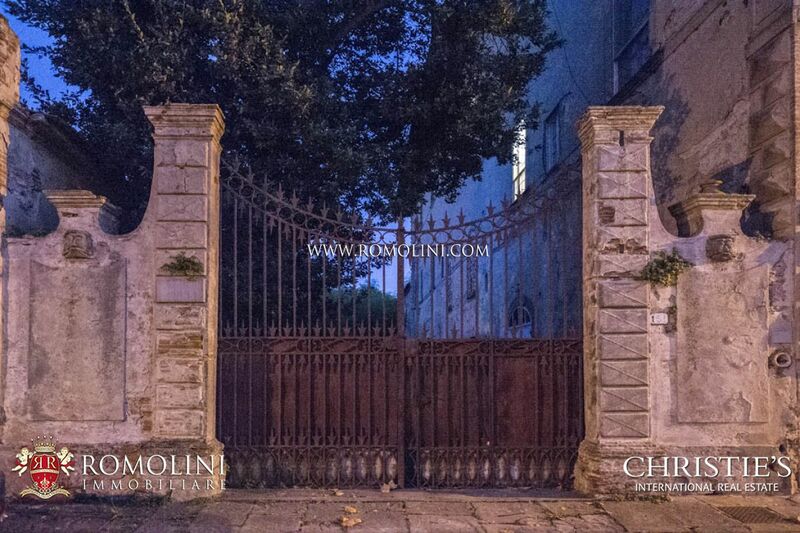 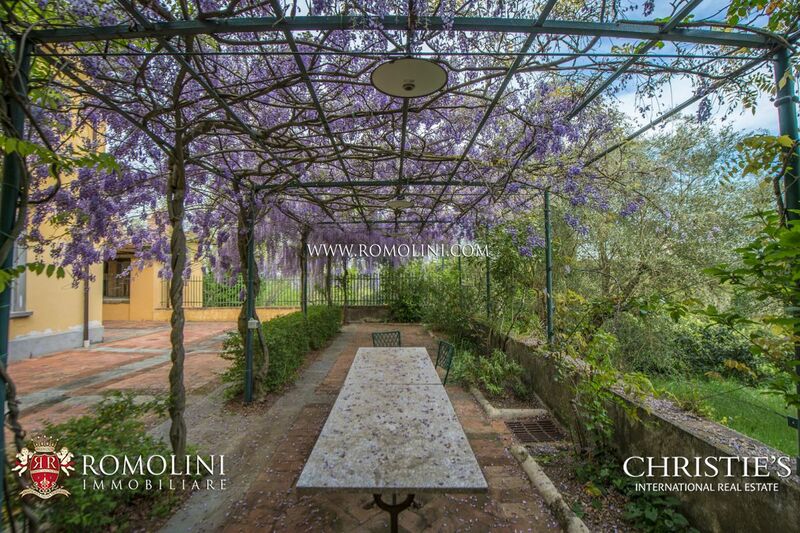 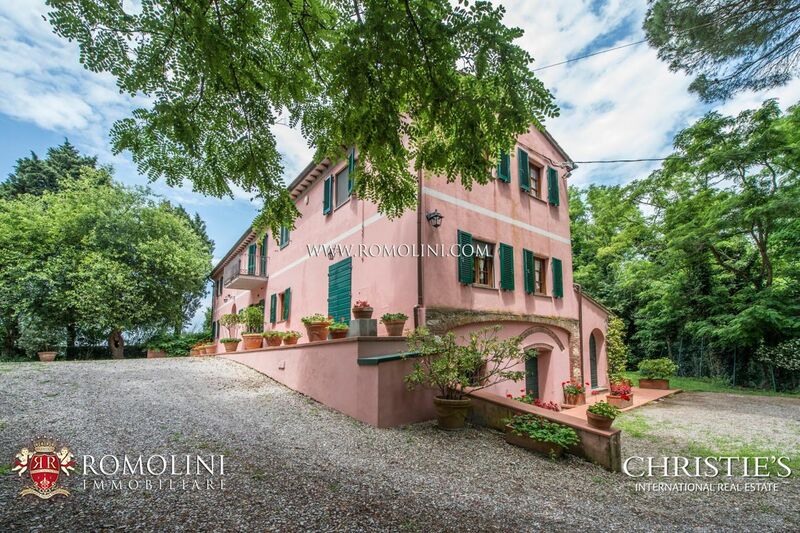 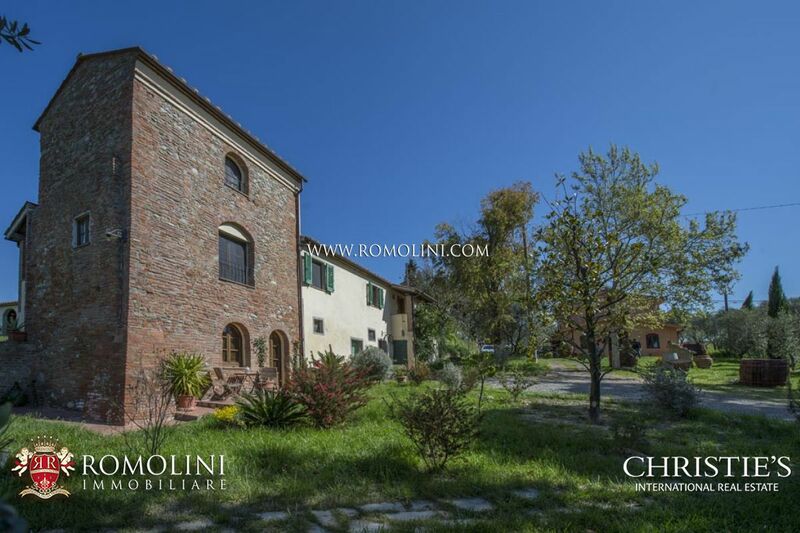 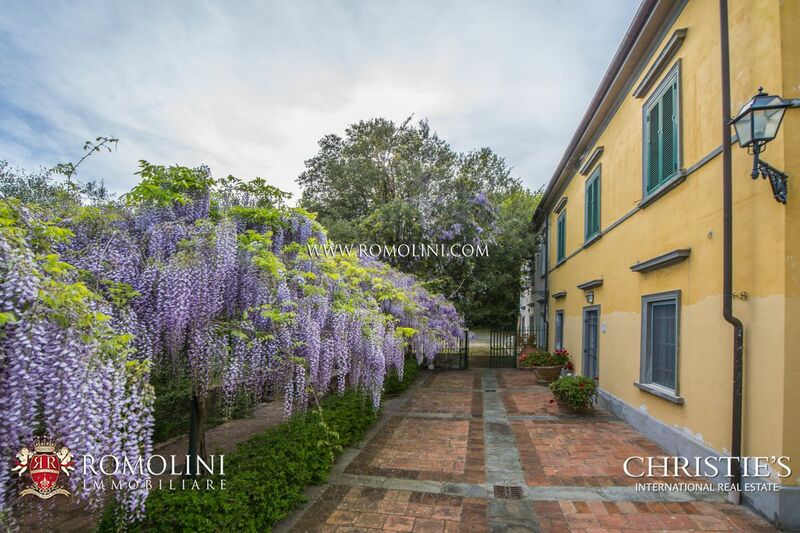 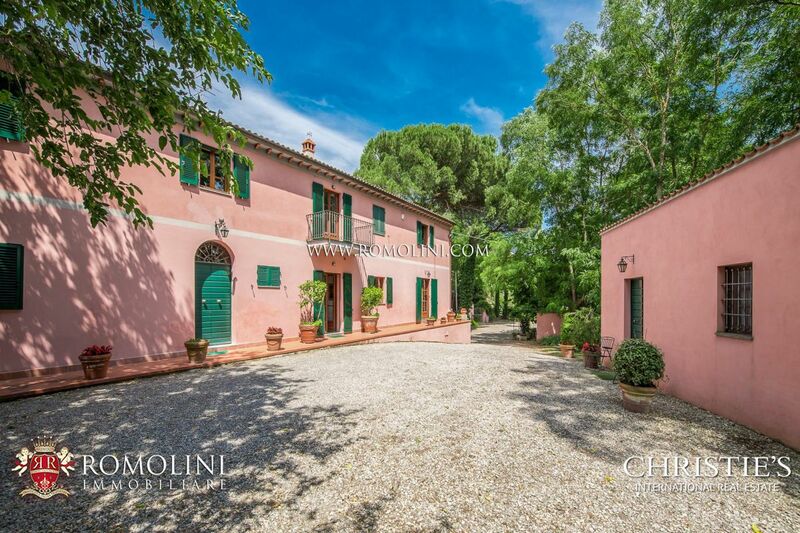 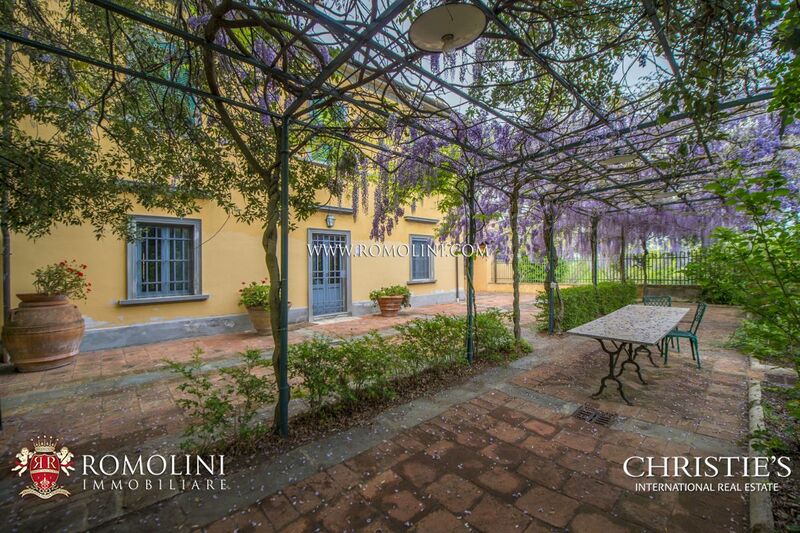 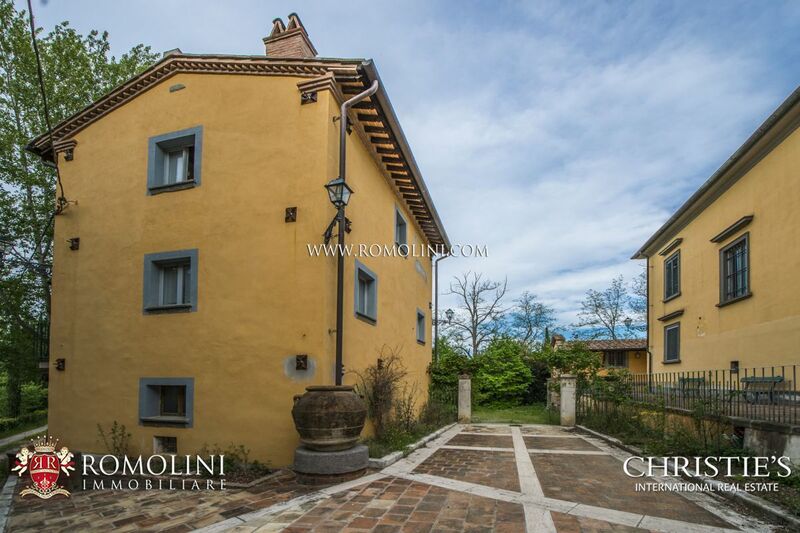 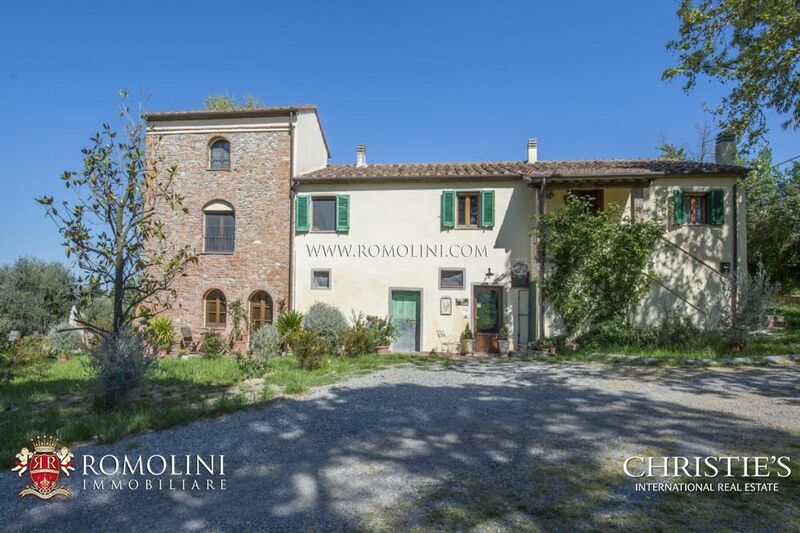 In the province of Pisa, not far from the sea of Tuscany, this restored 325 sqm villa offers up to 6 bedrooms for anyone looking for a quiet private residence or a building to use in a hosting business. 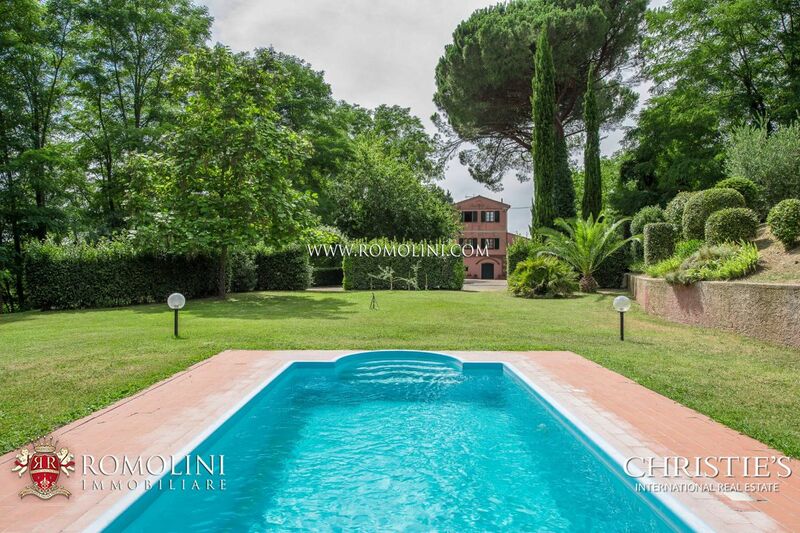 The property is completed by a 10 x 5 m swimming pool with grassy sunbathing area and a 5,000 sqm garden. 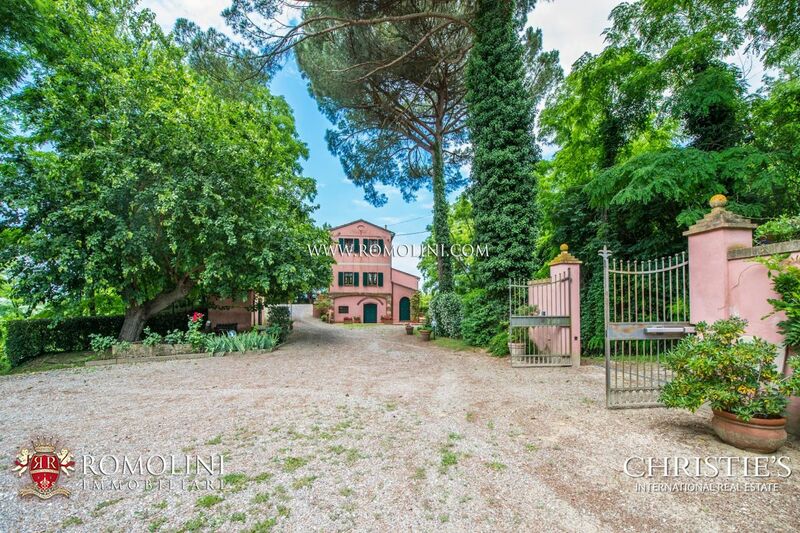 The house also boasts a convenient graveled apron which can easily be used as a parking area. 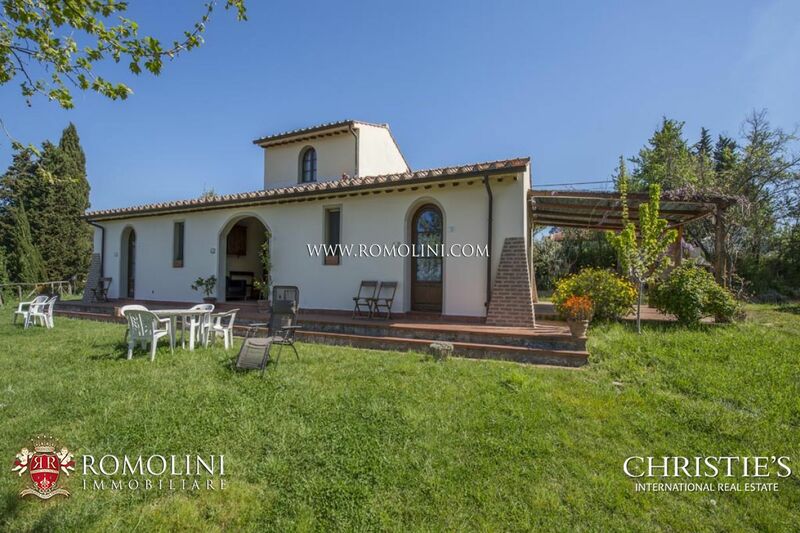 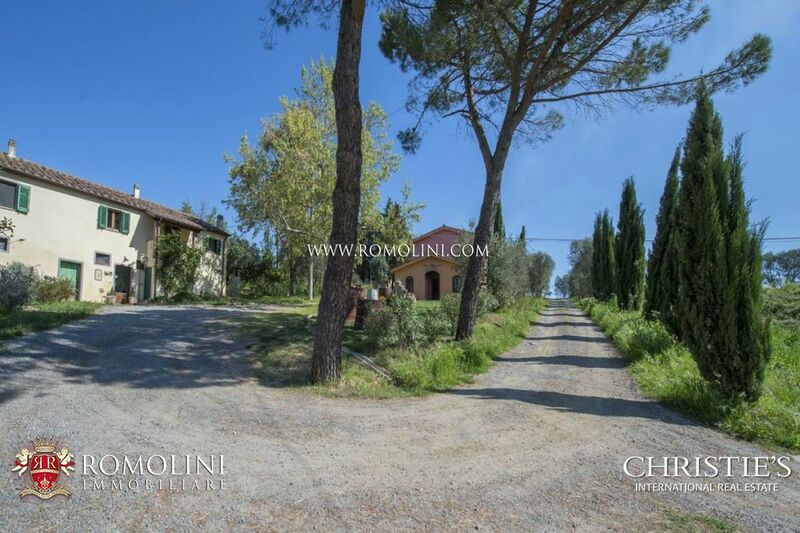 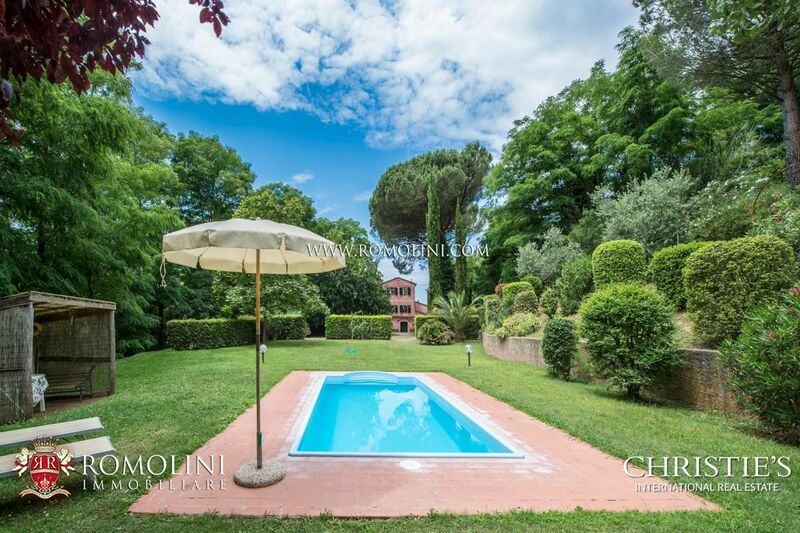 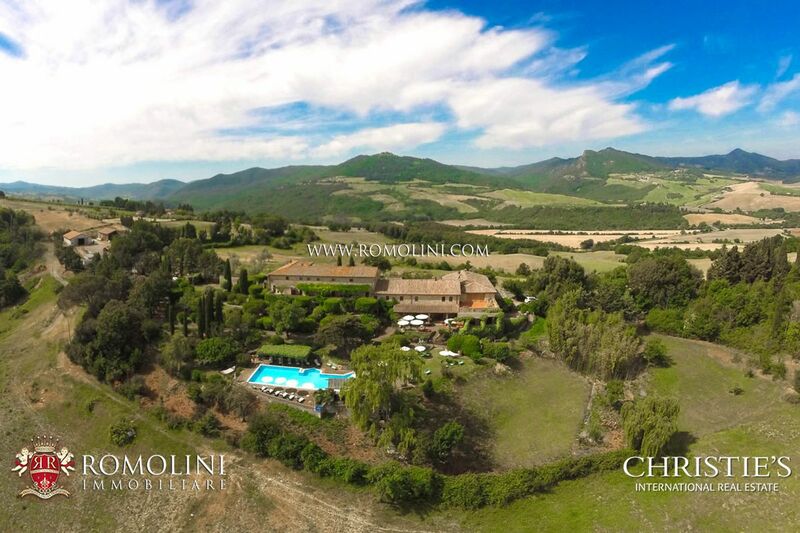 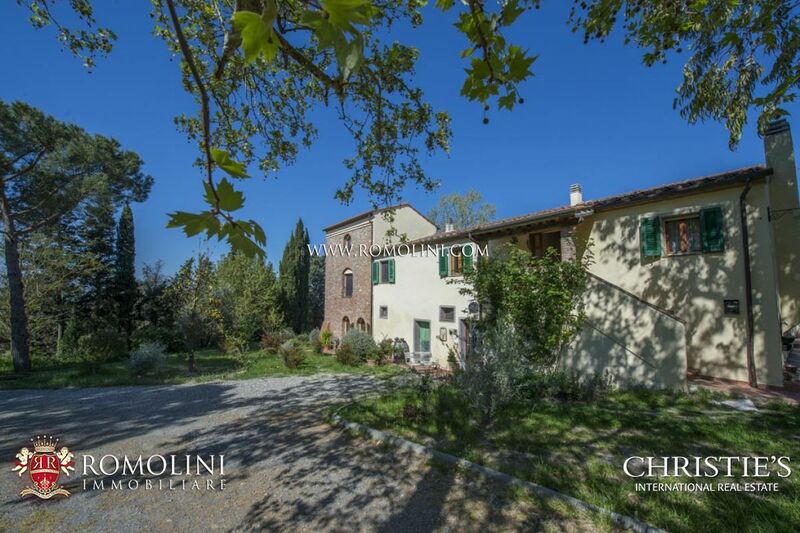 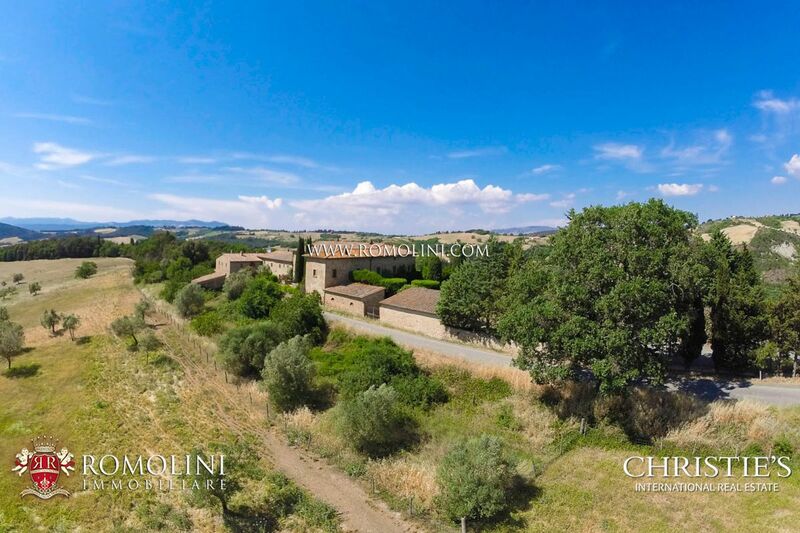 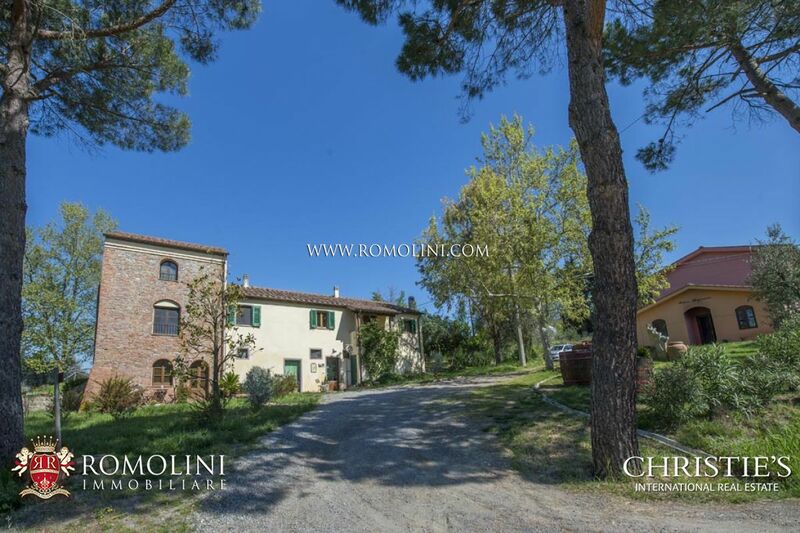 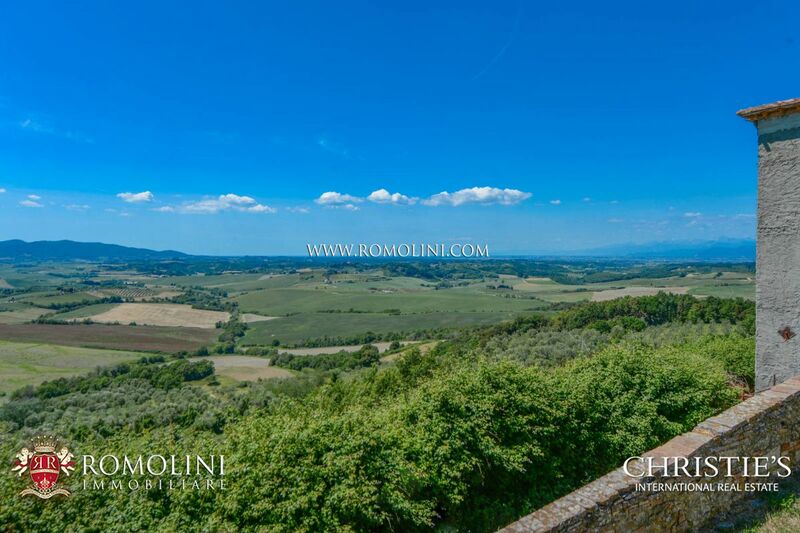 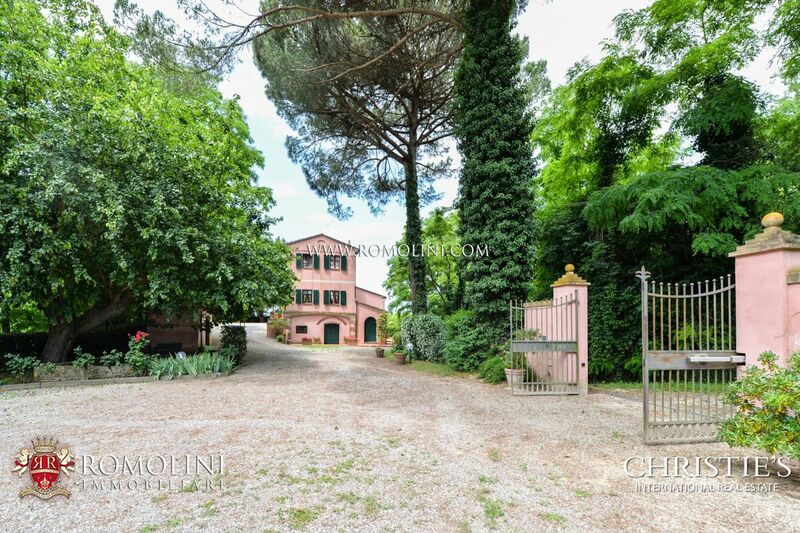 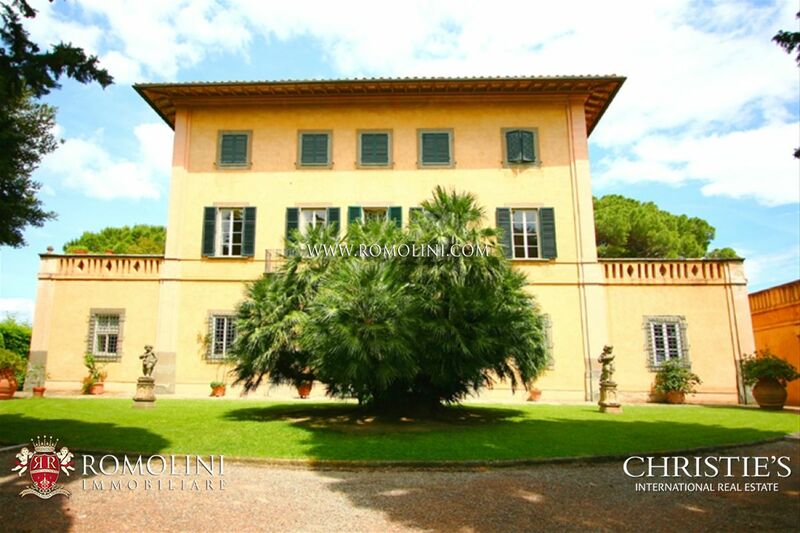 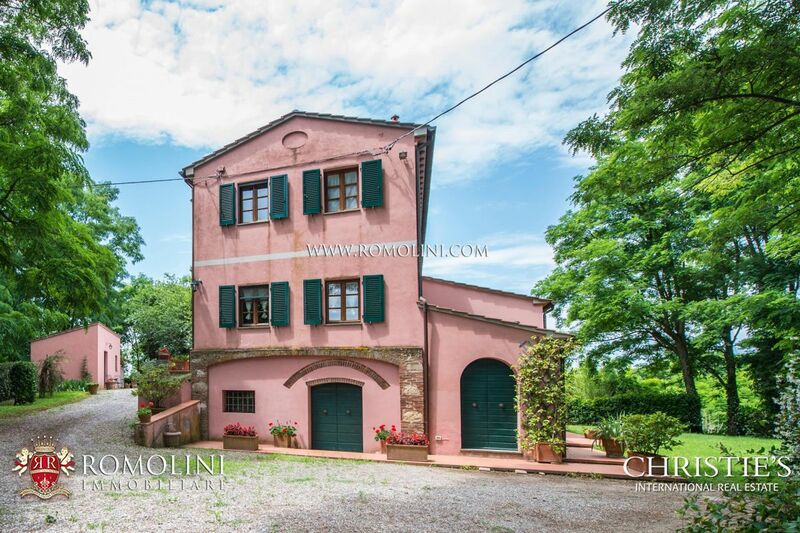 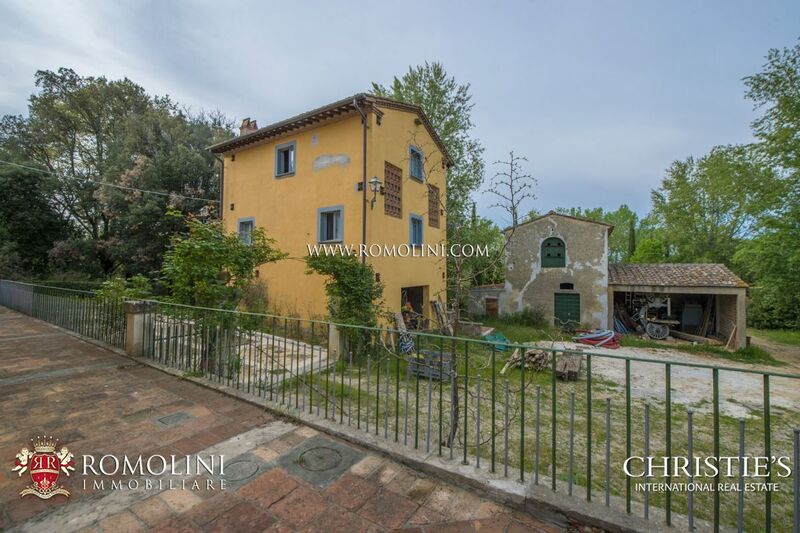 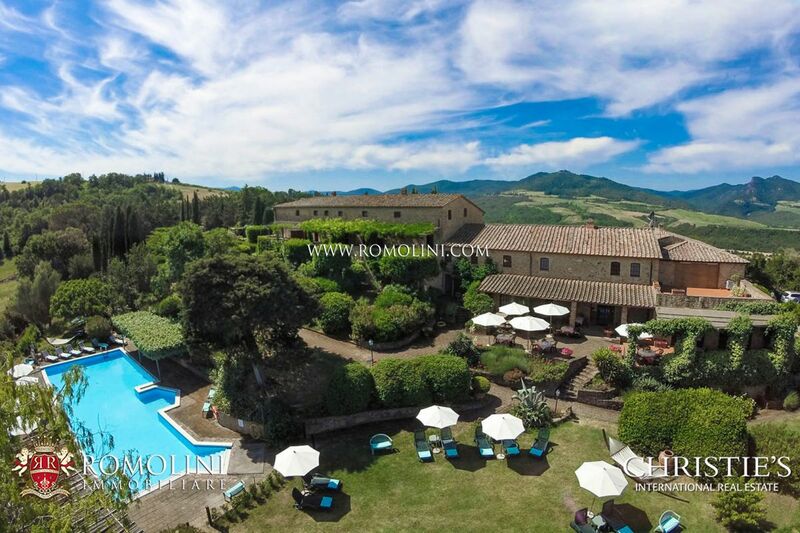 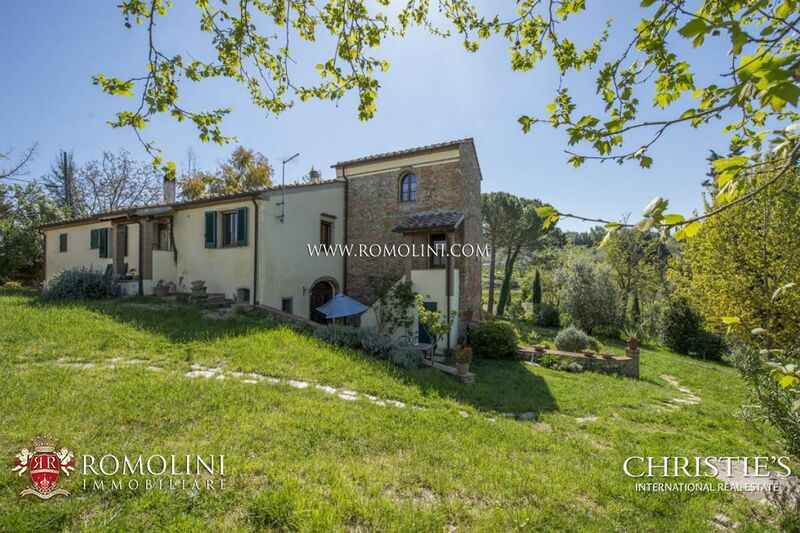 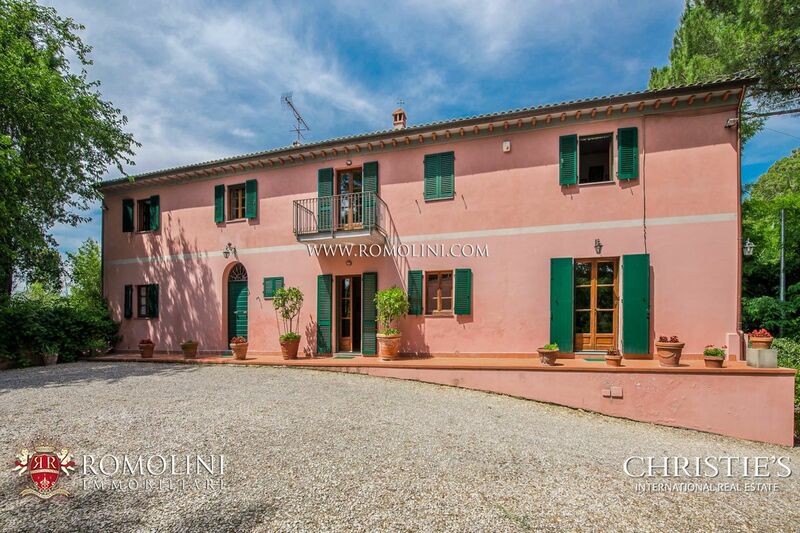 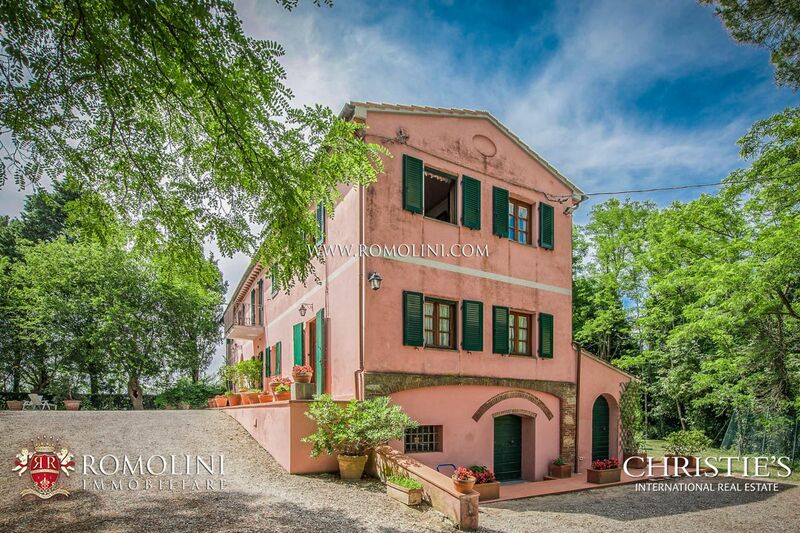 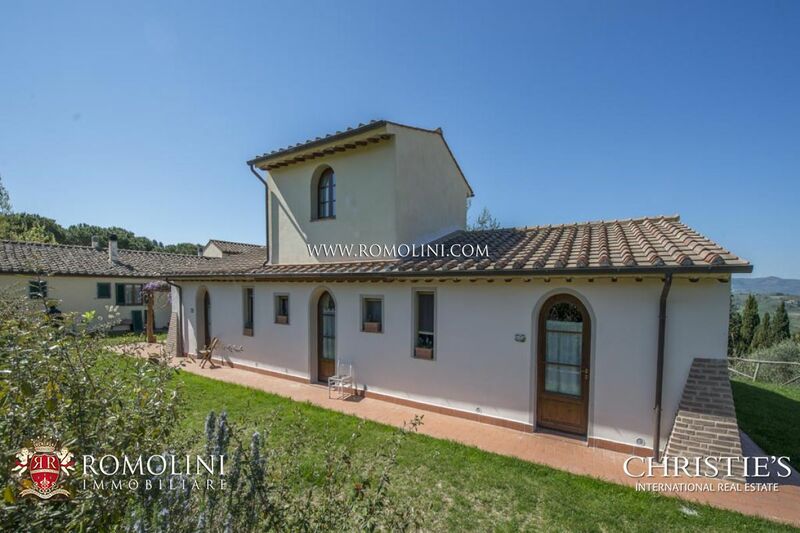 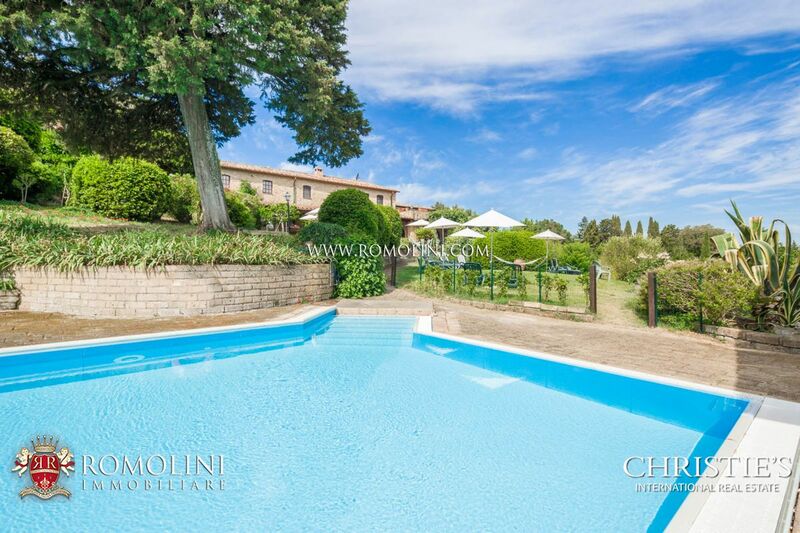 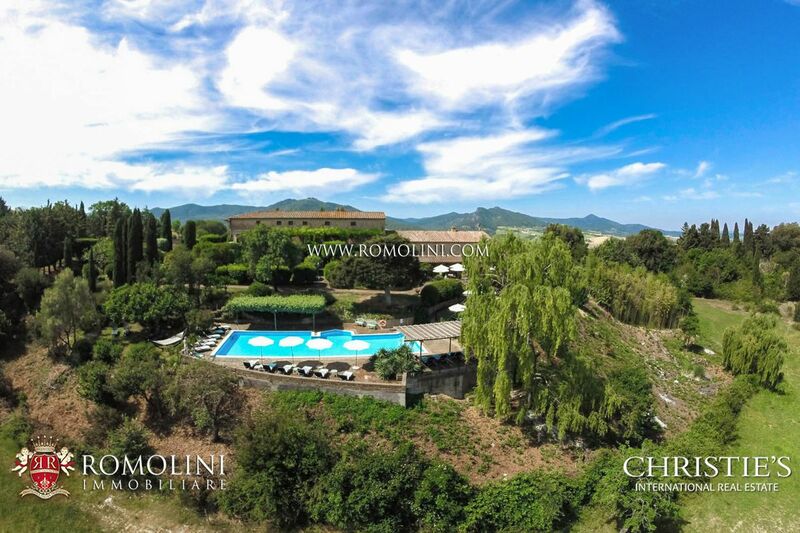 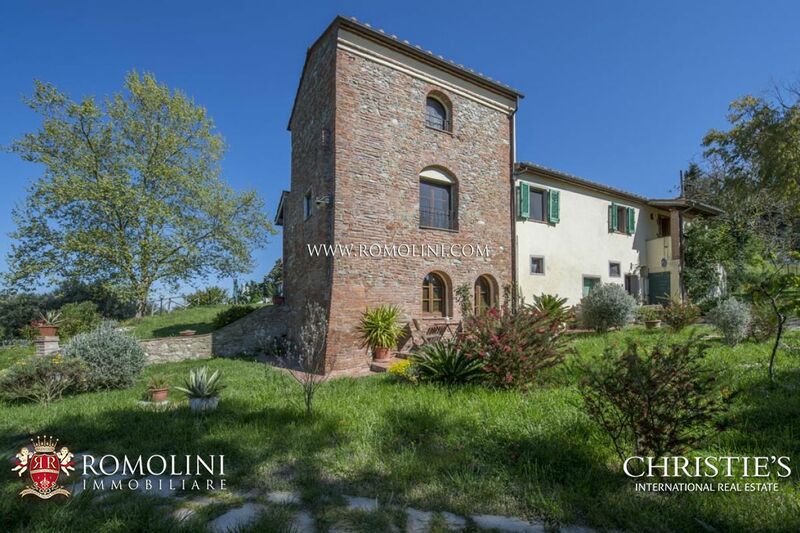 In Tuscany, in the province of Pisa, a 5 minute drive from the nearest centre and 24 km from Pisa airport, 381 square metre Villa with two annexes and 2 hectares of land for sale. 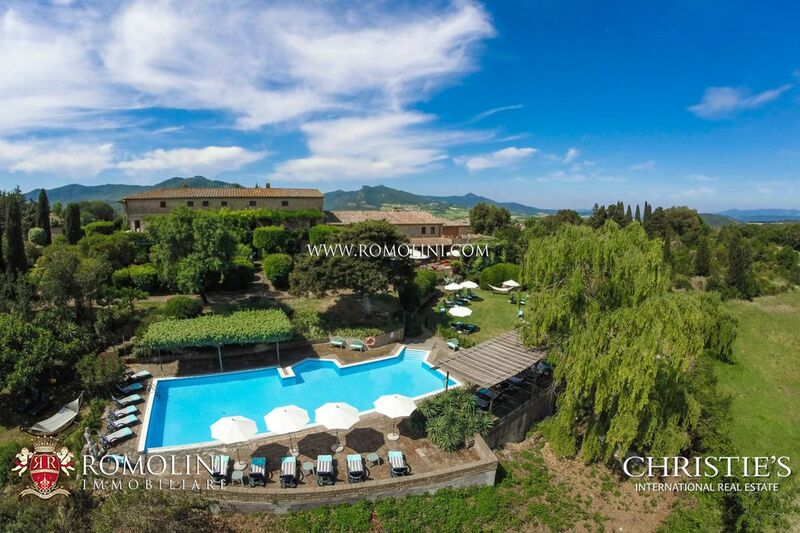 The villa is within easy reach of wonderful cities of art and important seaside resorts in Tuscany, such as Livorno (25km), Pisa (26km), Viareggio (67km), Lucca (43km), Volterra (55km), Forte dei Marmi (73km) and Florence (75km). 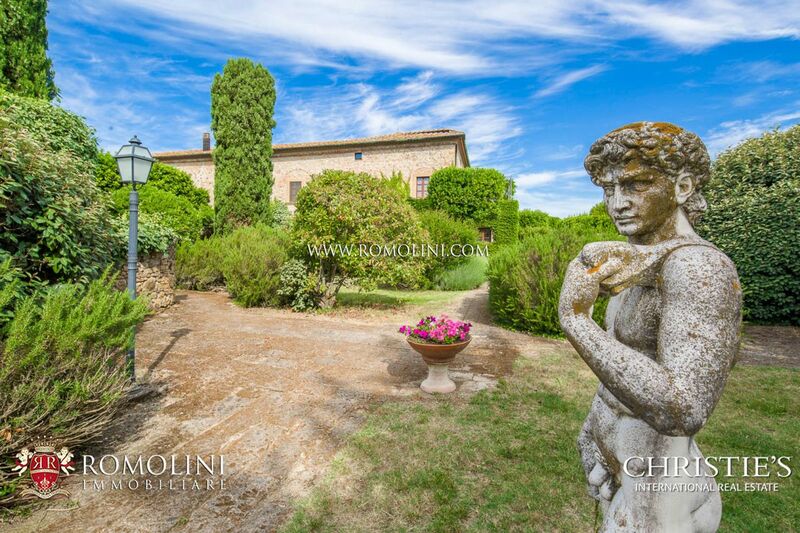 This exclusive manor Villa is surrounded by 2 hectares of land, including olive and fruit trees, vegetable garden and hen house. 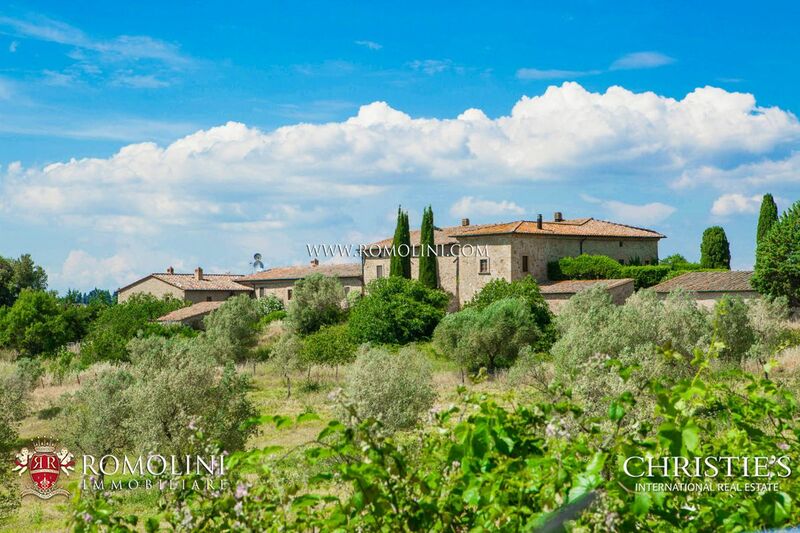 Within the province of Pisa, in Tuscany, Organic Biodynamic Wine Estate with Agriturismo. 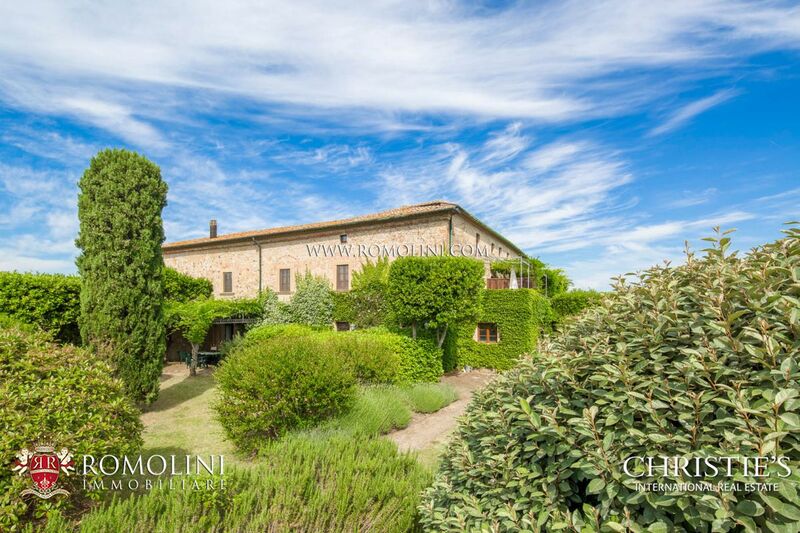 The complex is composed of a main farmhouse, a country house and a wine making cellar. 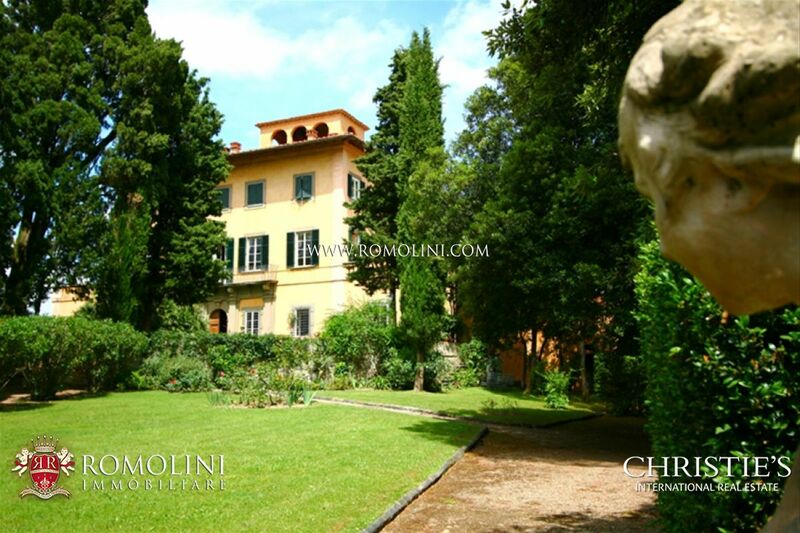 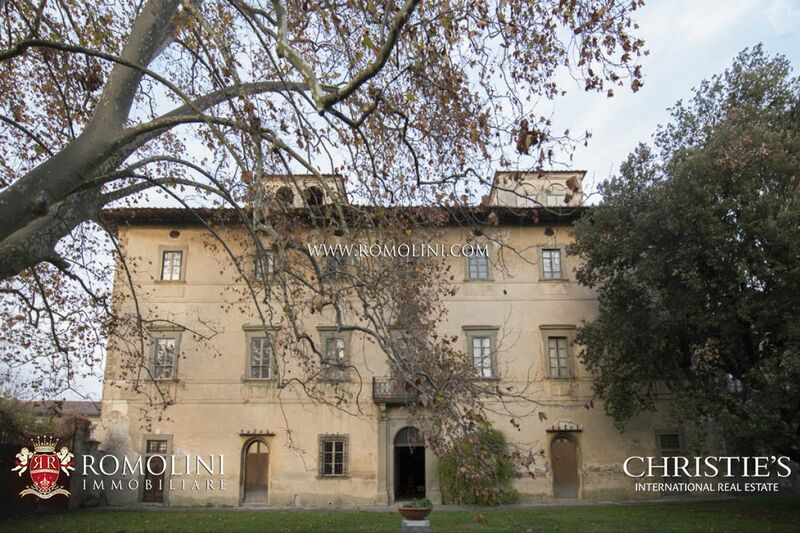 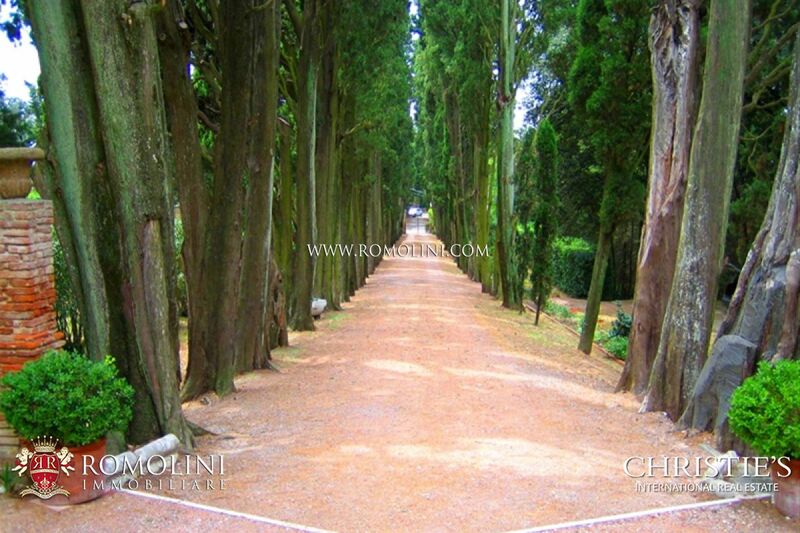 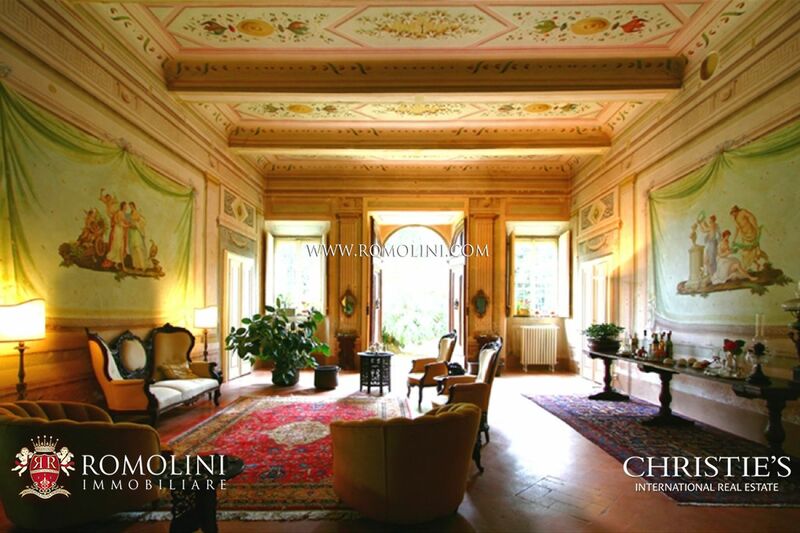 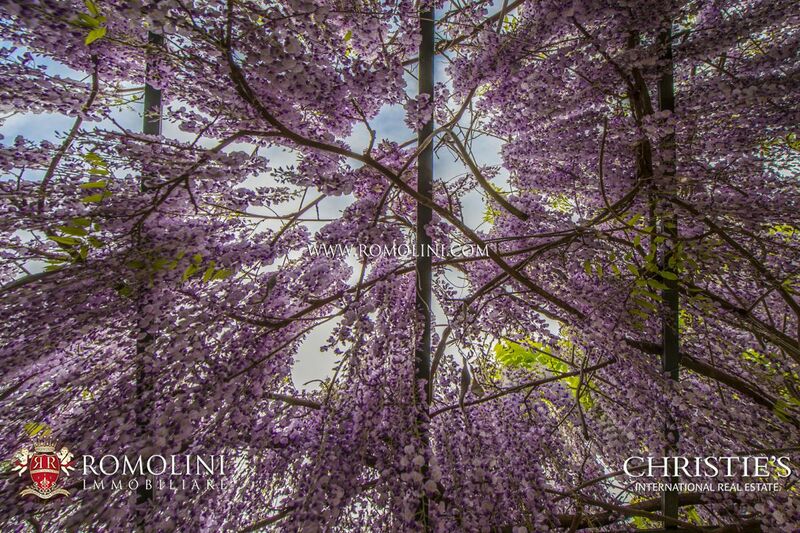 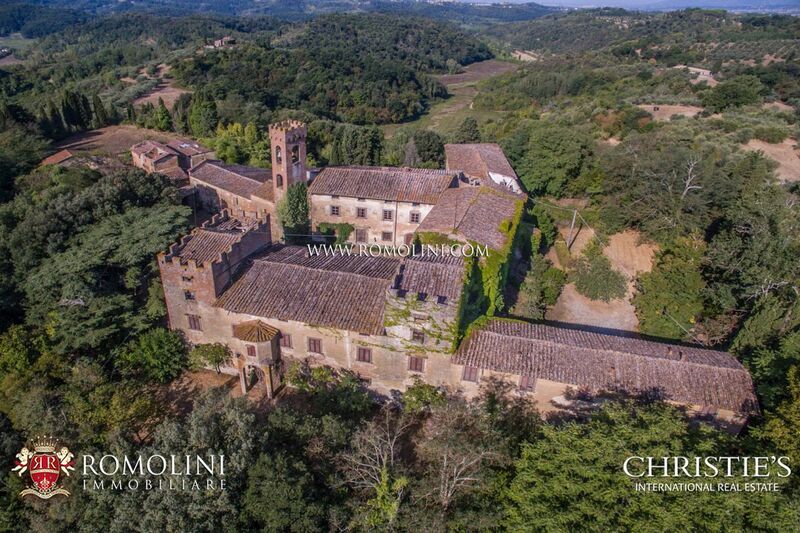 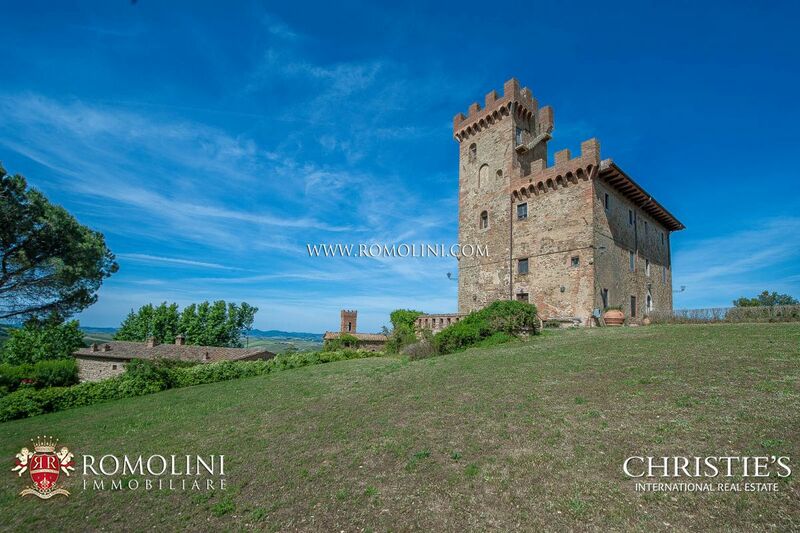 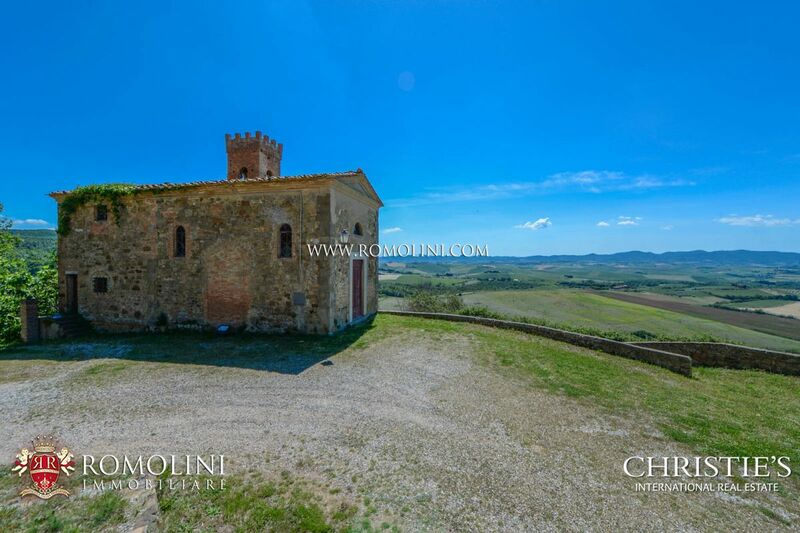 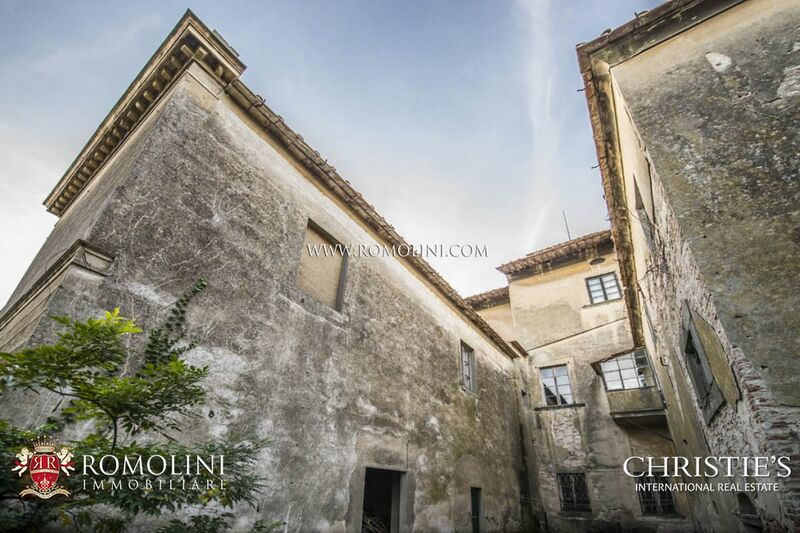 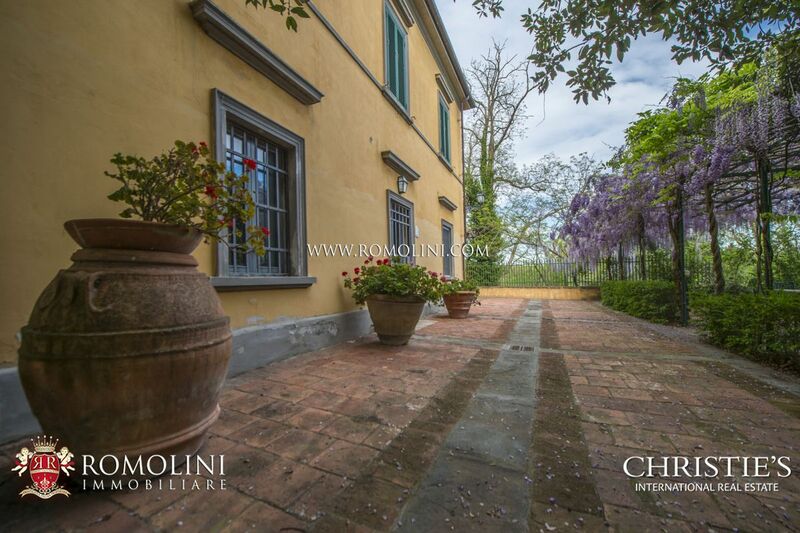 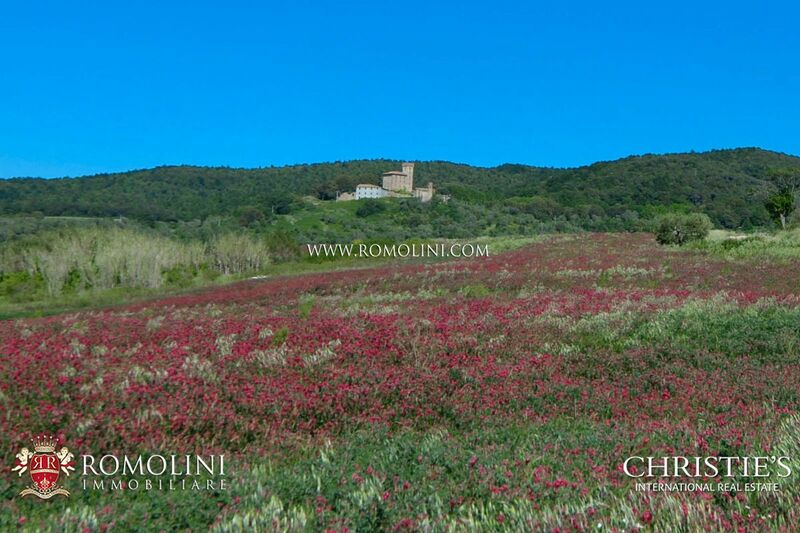 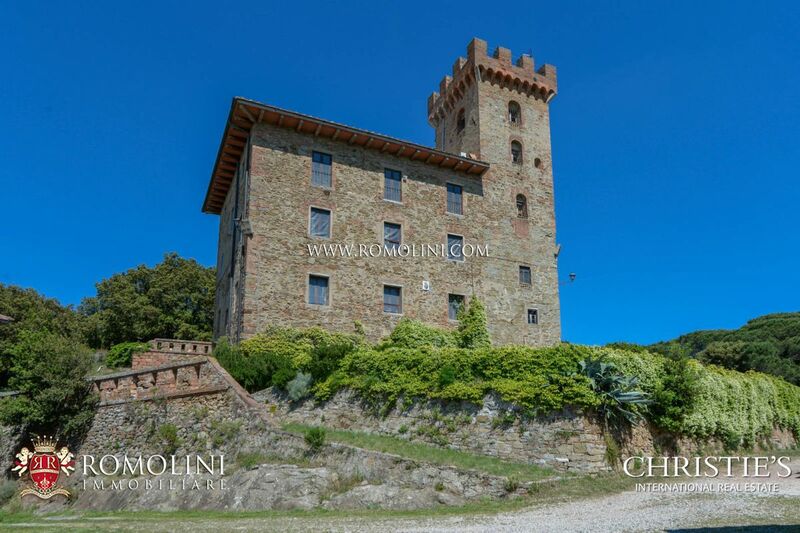 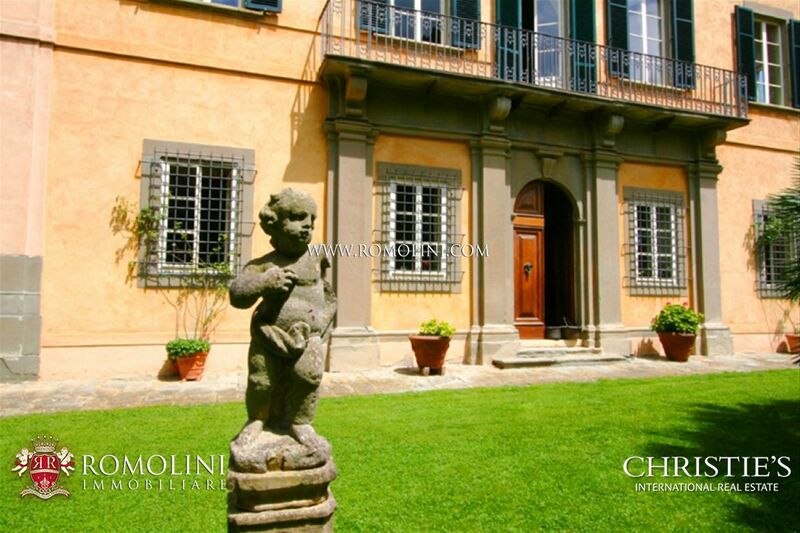 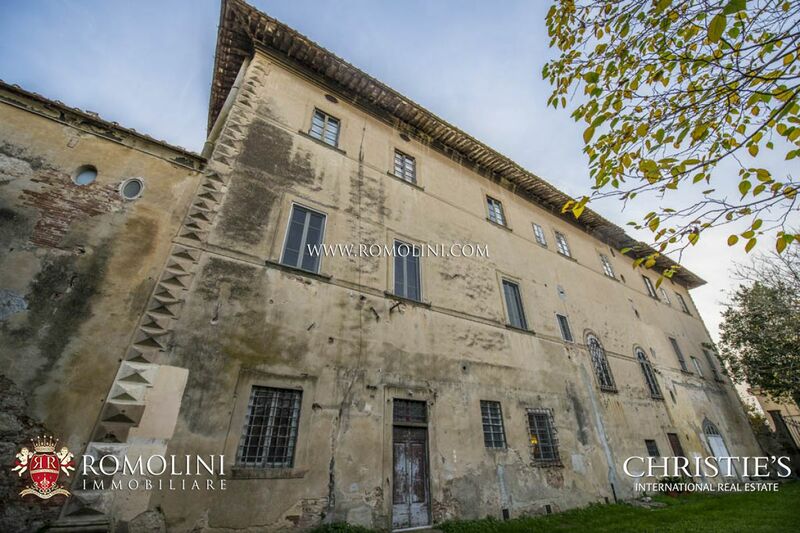 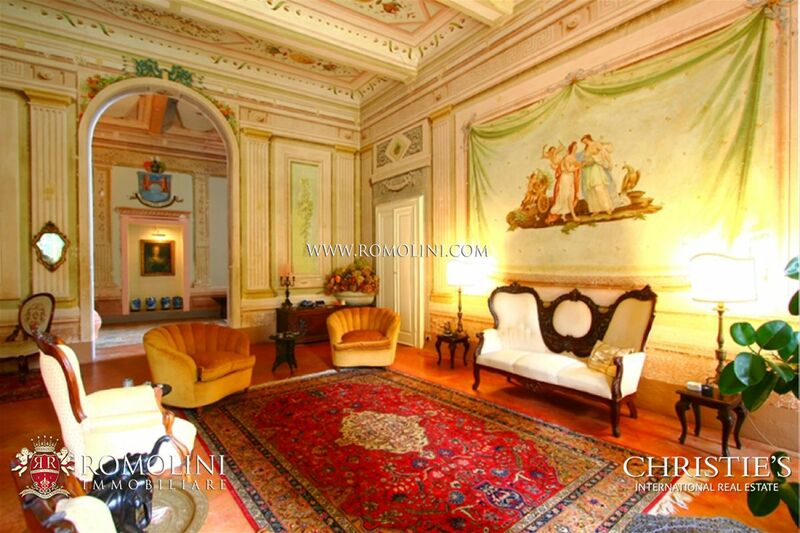 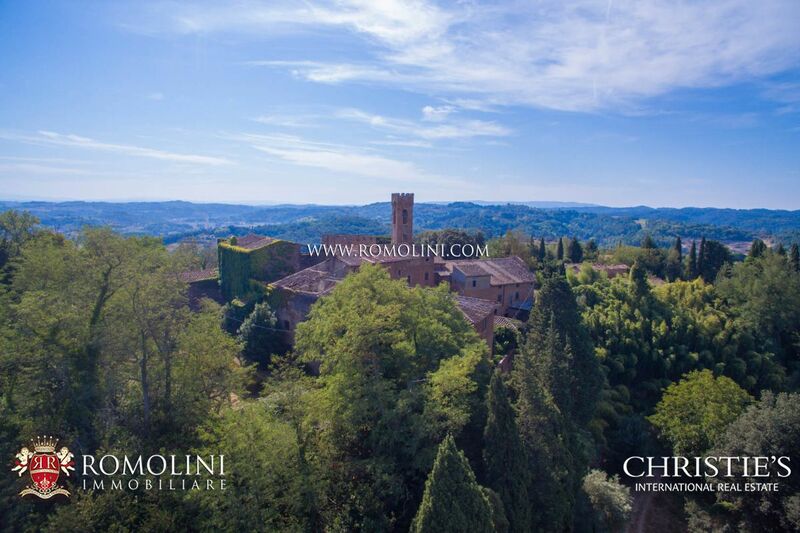 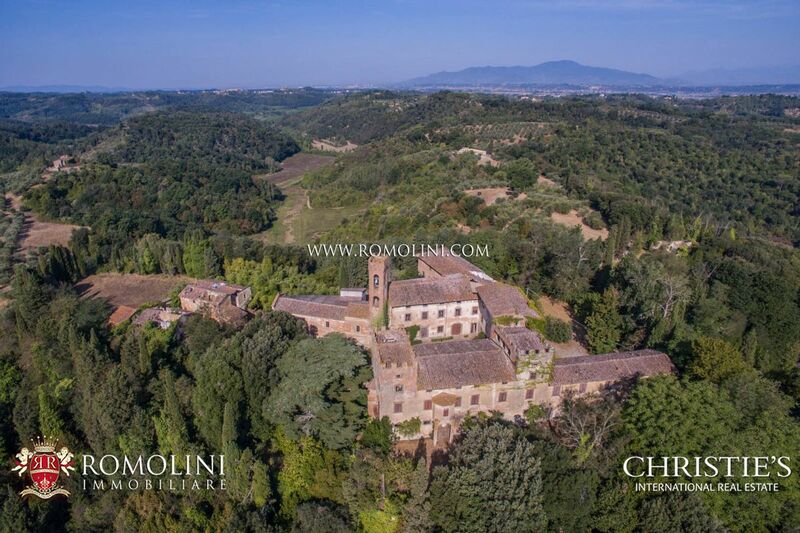 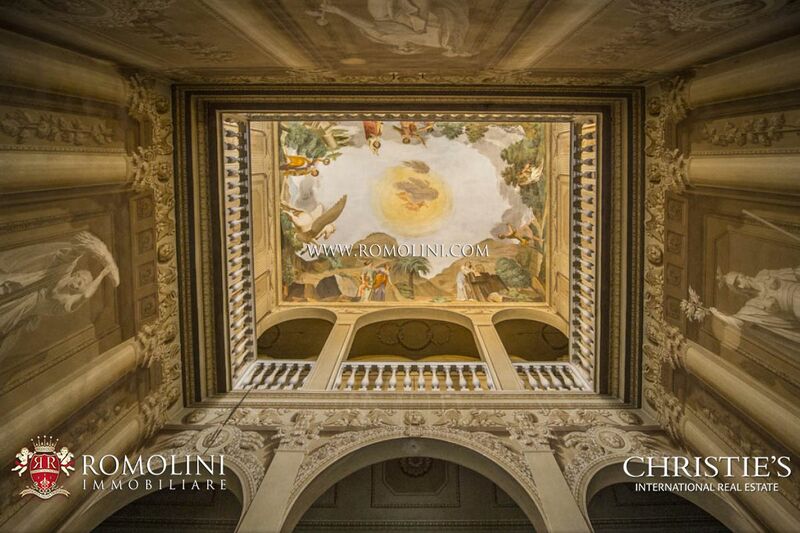 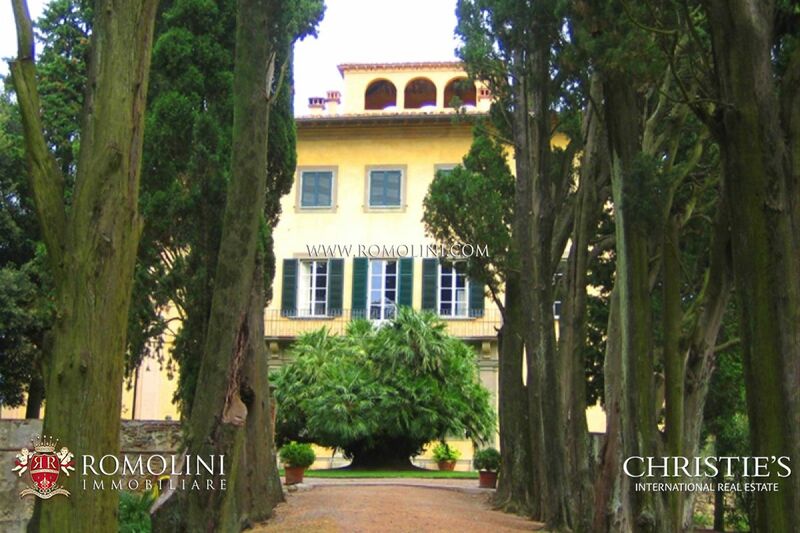 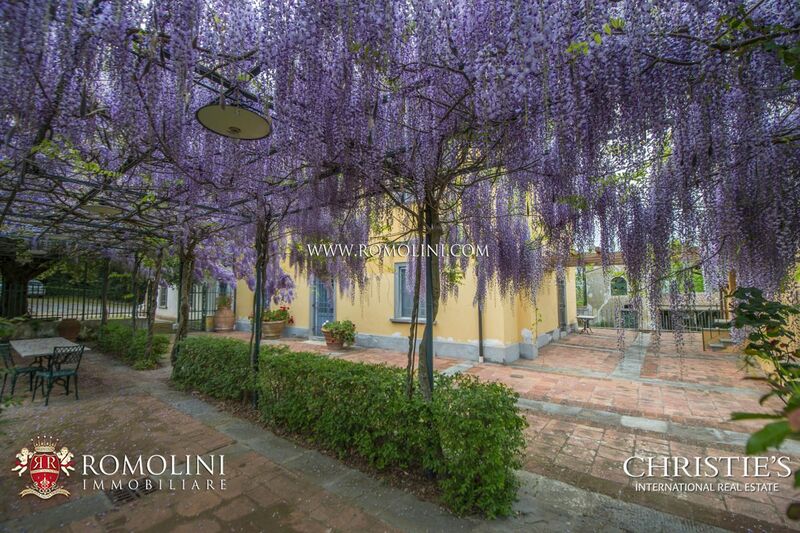 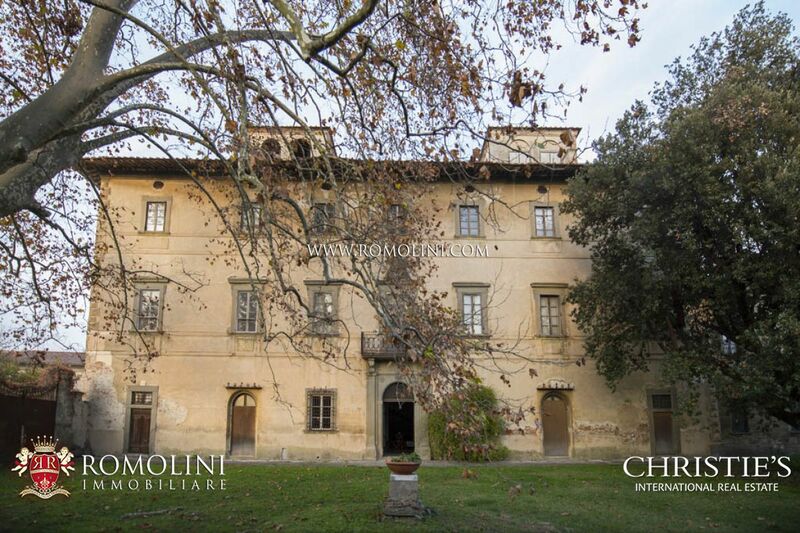 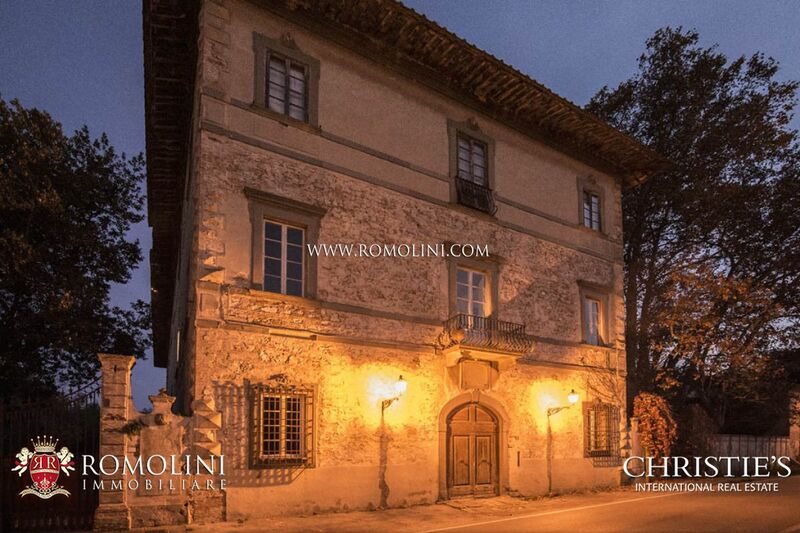 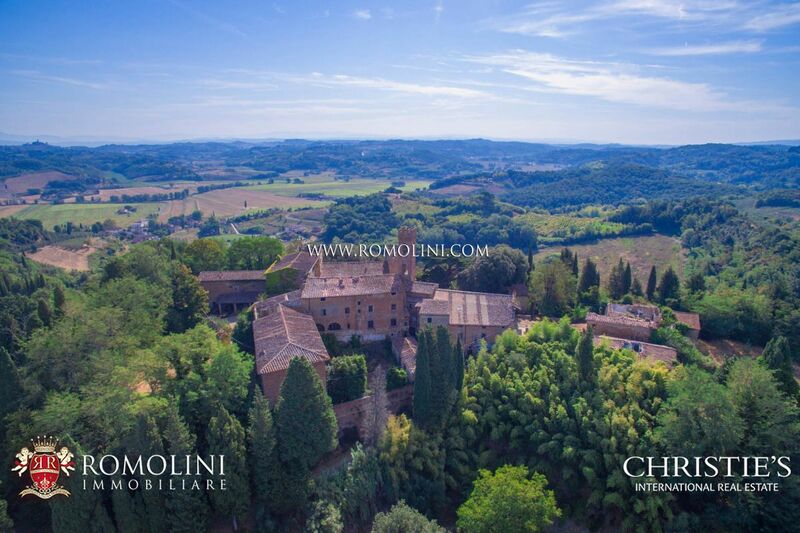 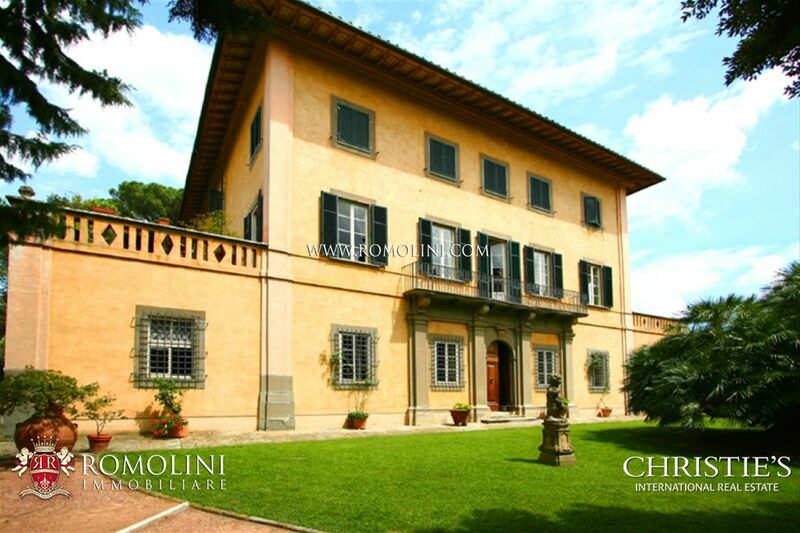 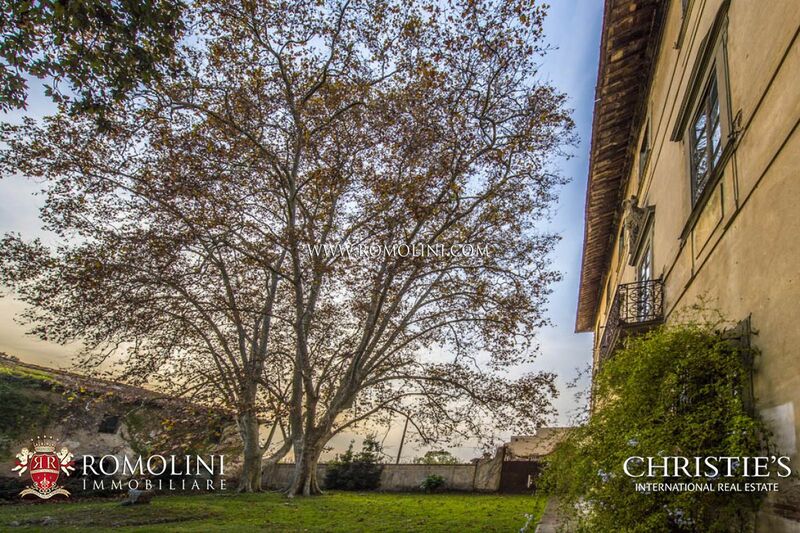 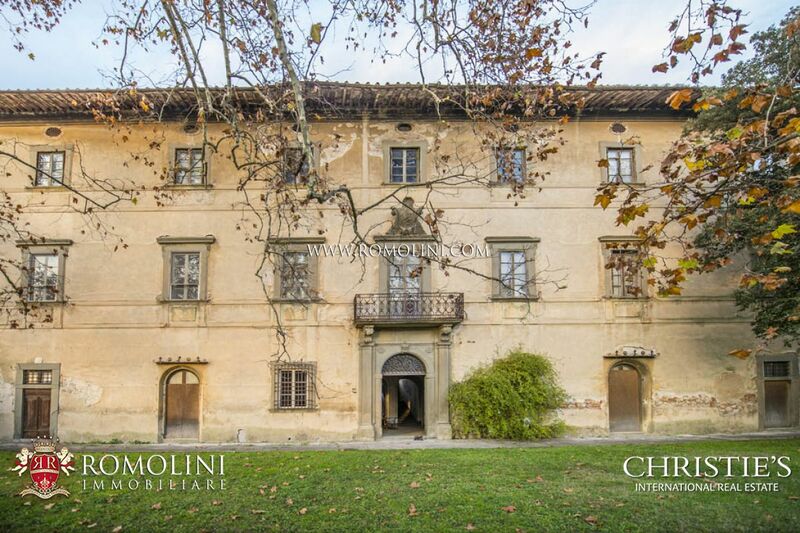 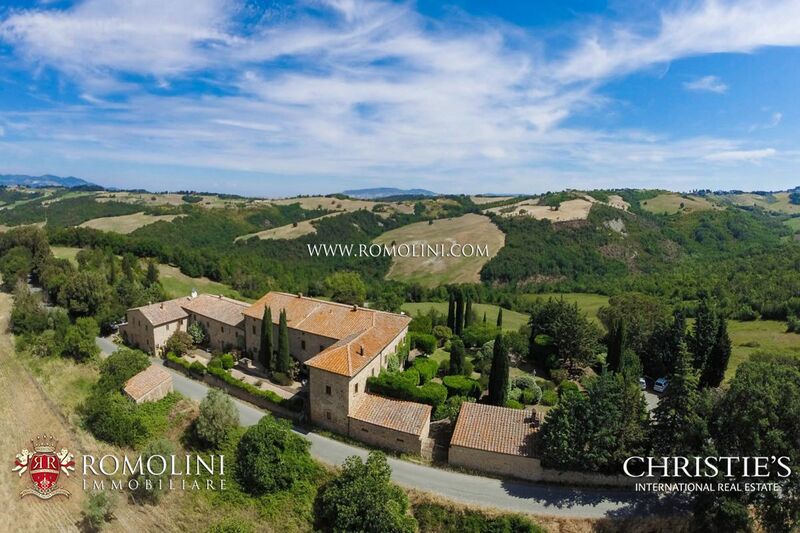 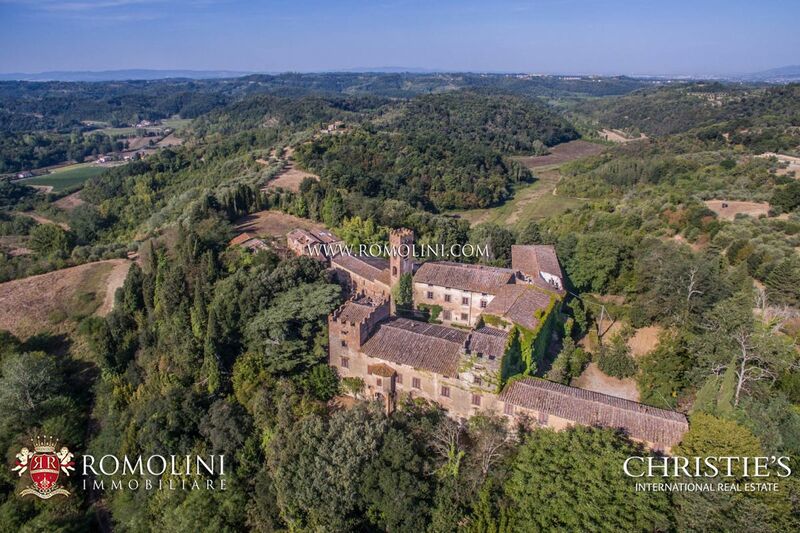 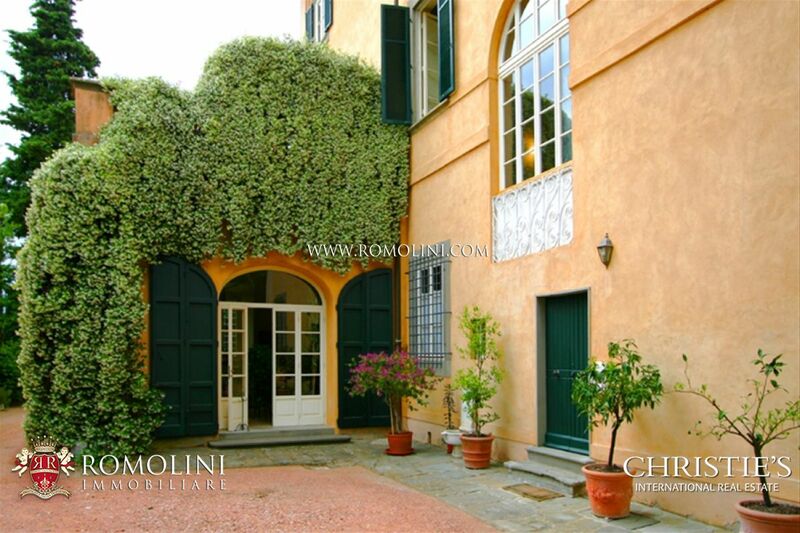 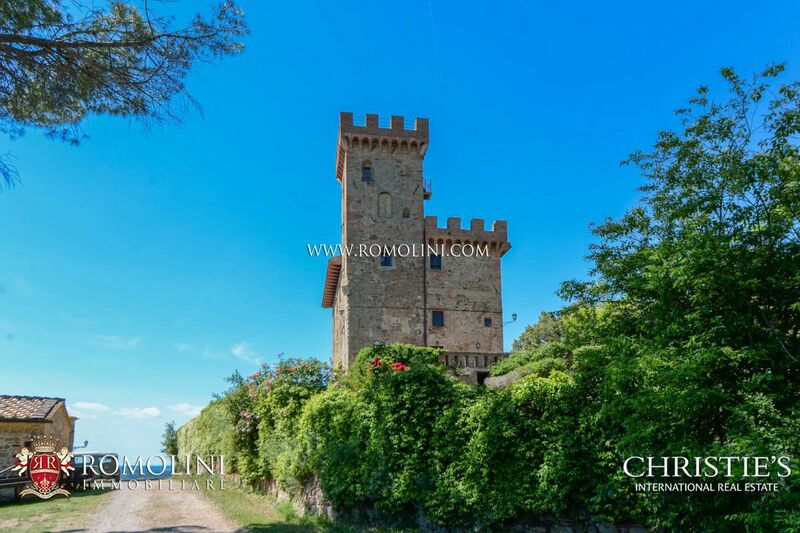 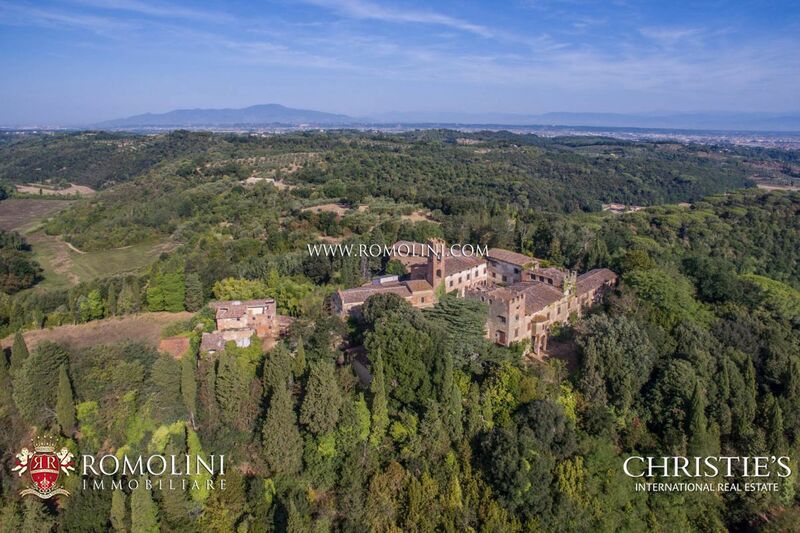 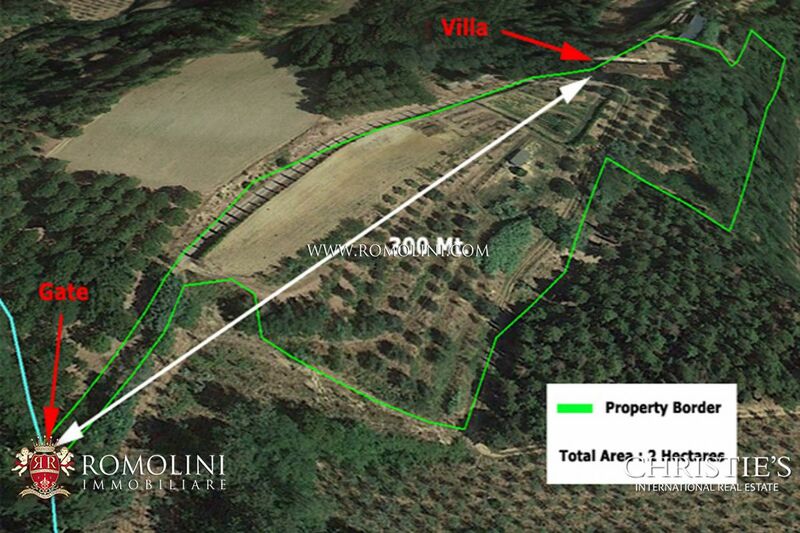 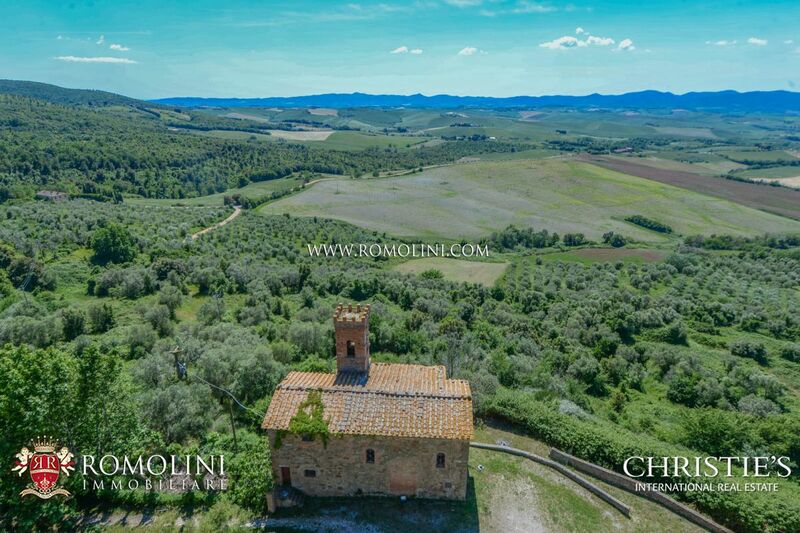 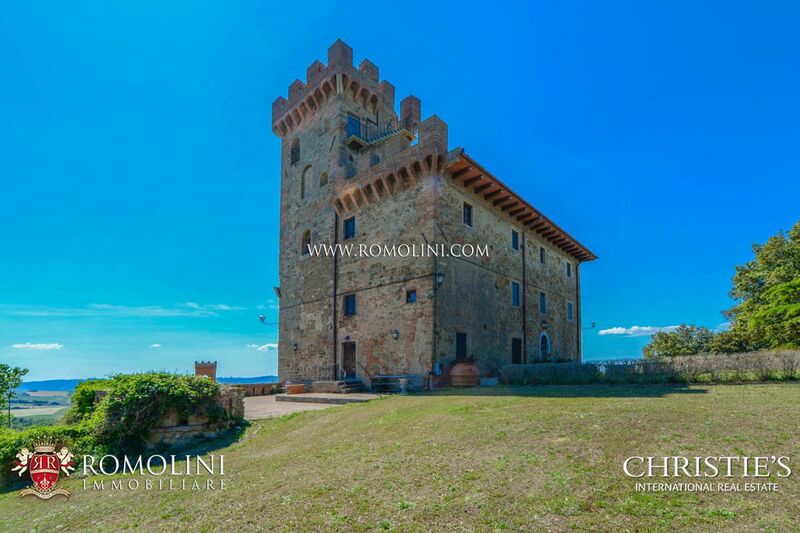 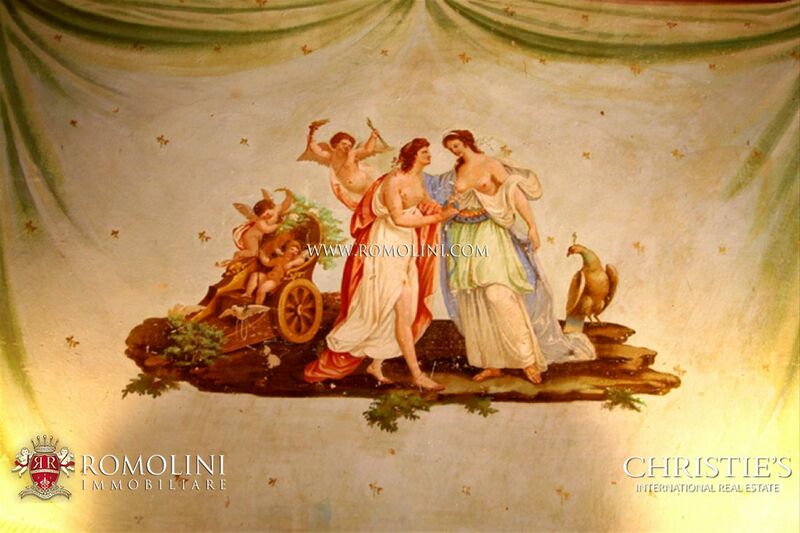 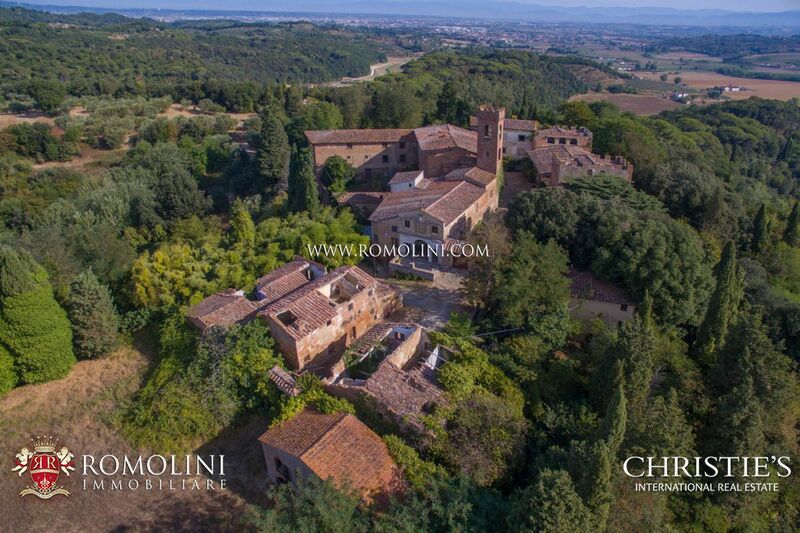 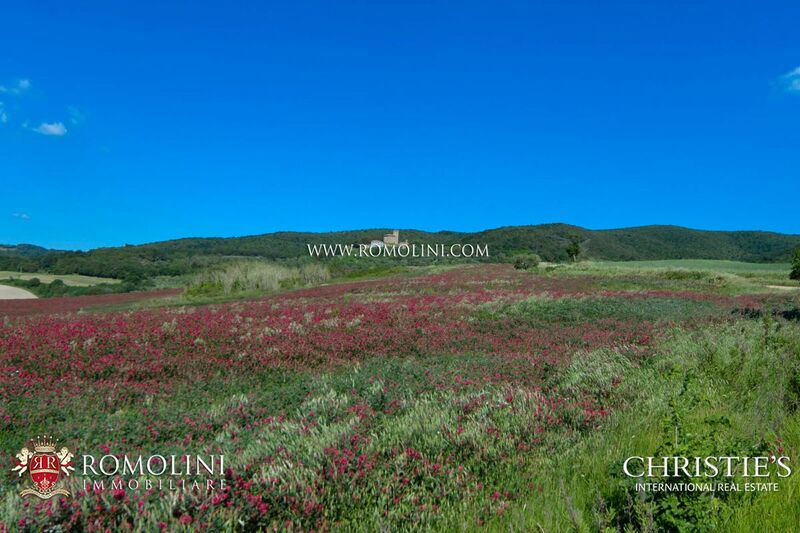 The property is completed by 10,4 hectares of private land, of which 5 hectares of Chianti DOCG vineyard. 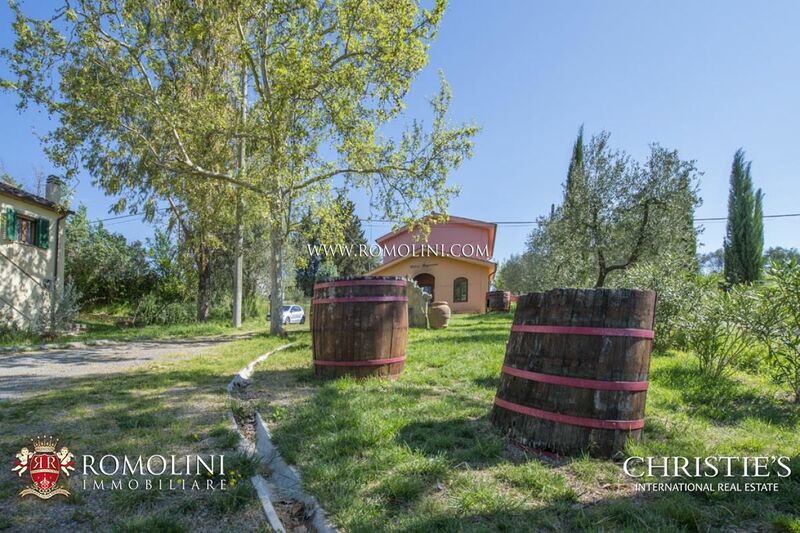 Annual Production: 15.000 bottles of wine.